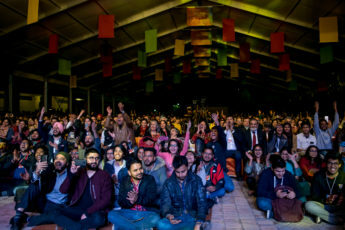 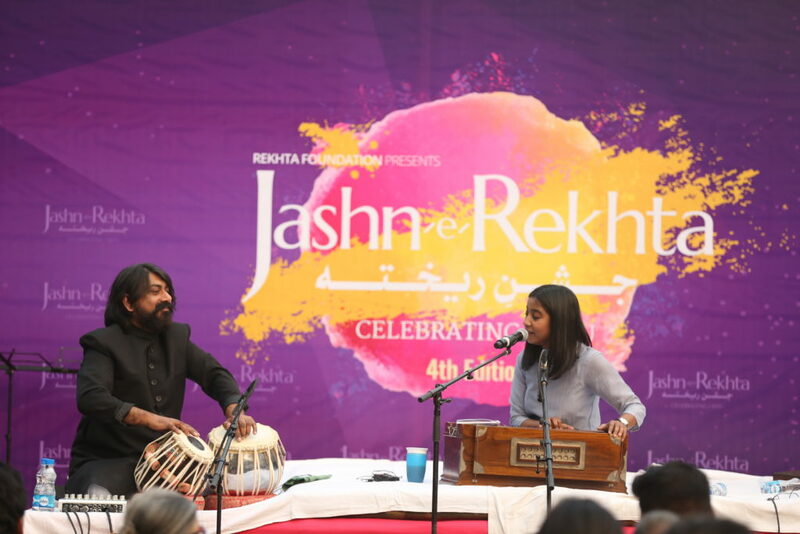 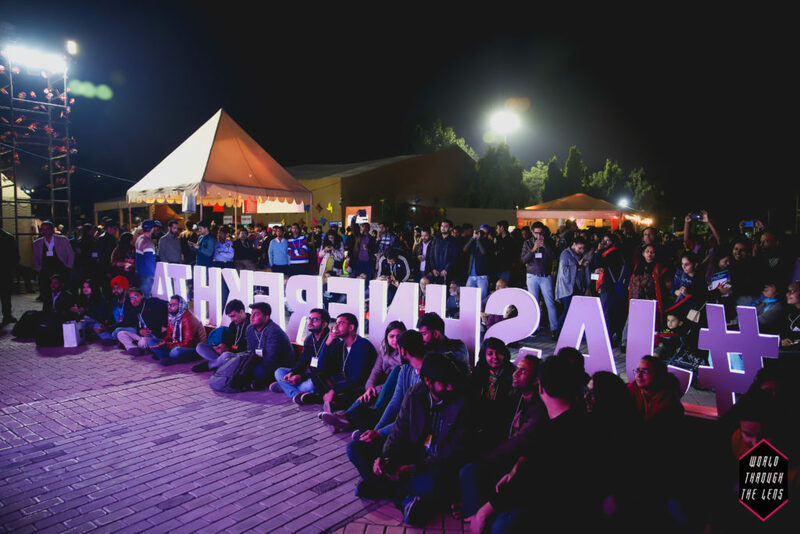 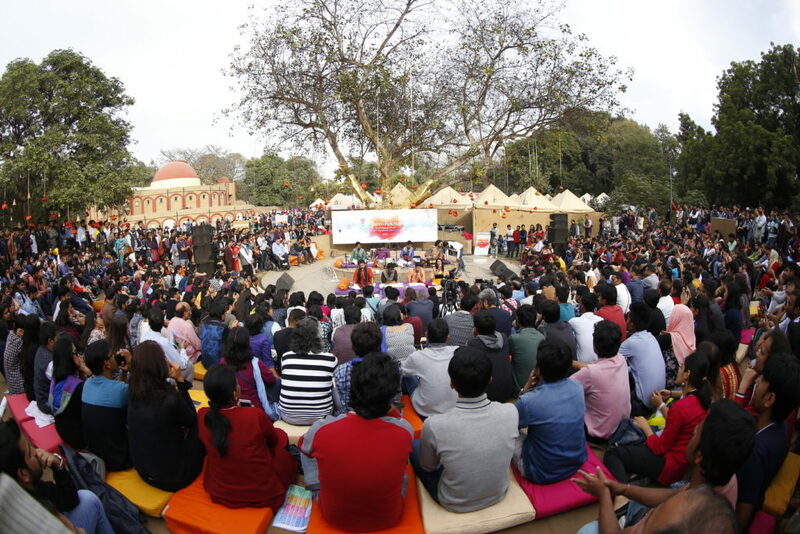 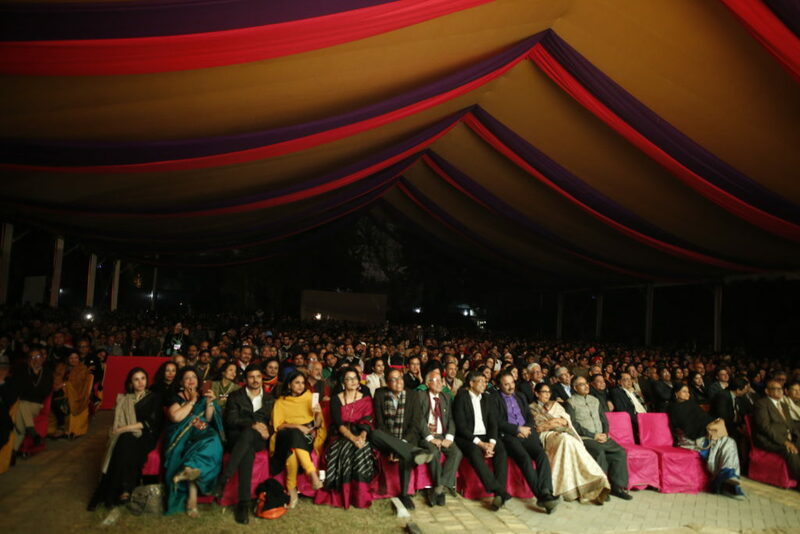 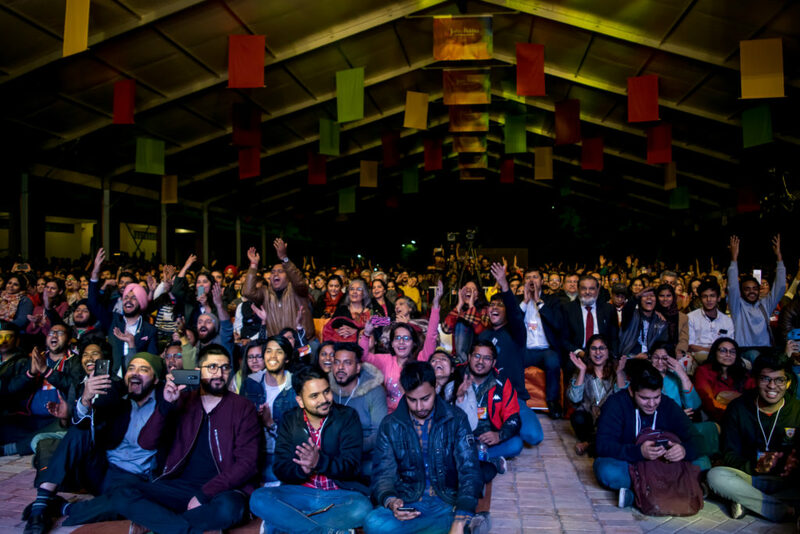 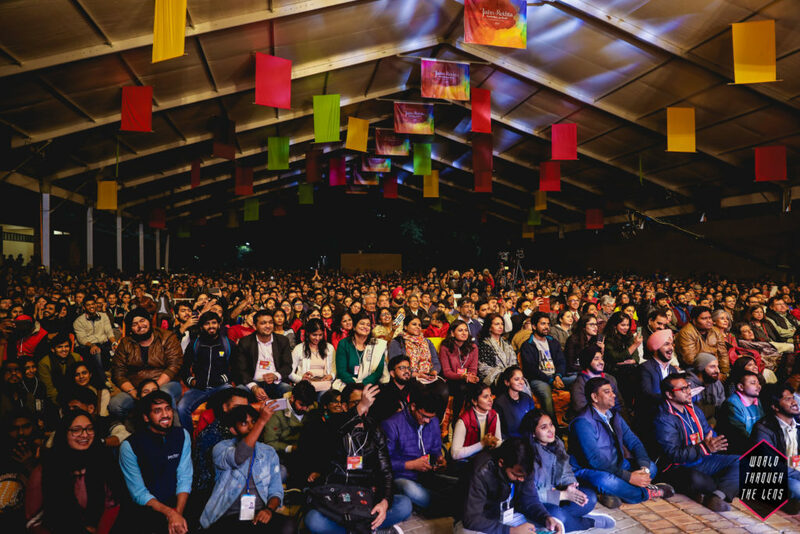 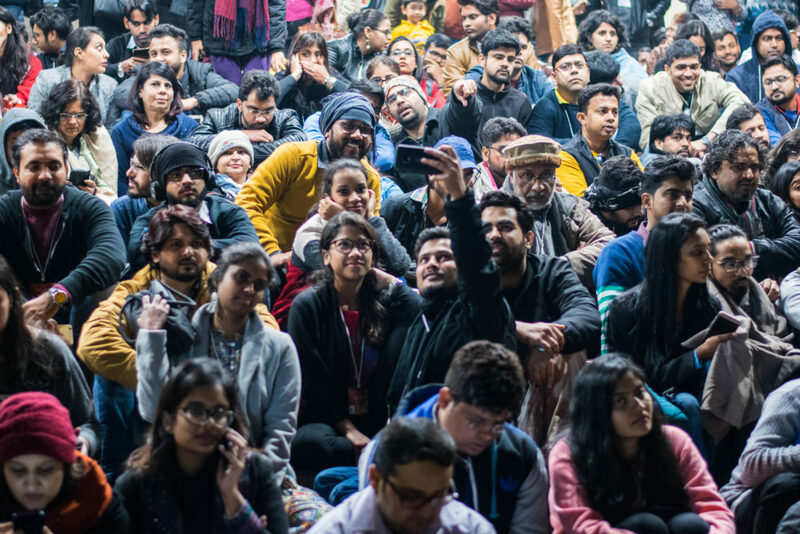 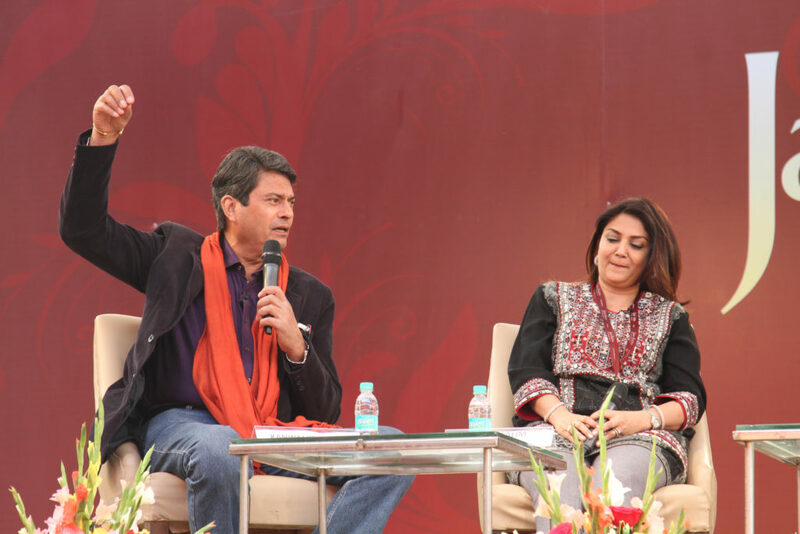 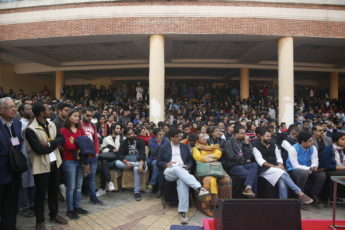 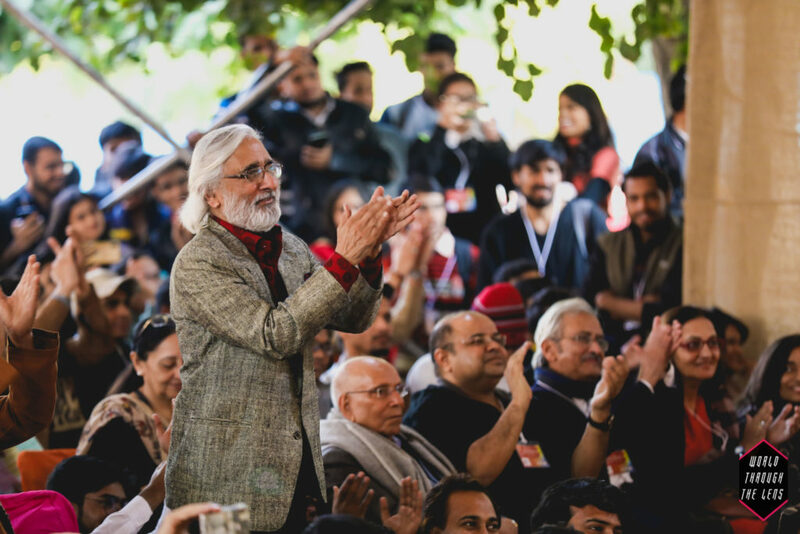 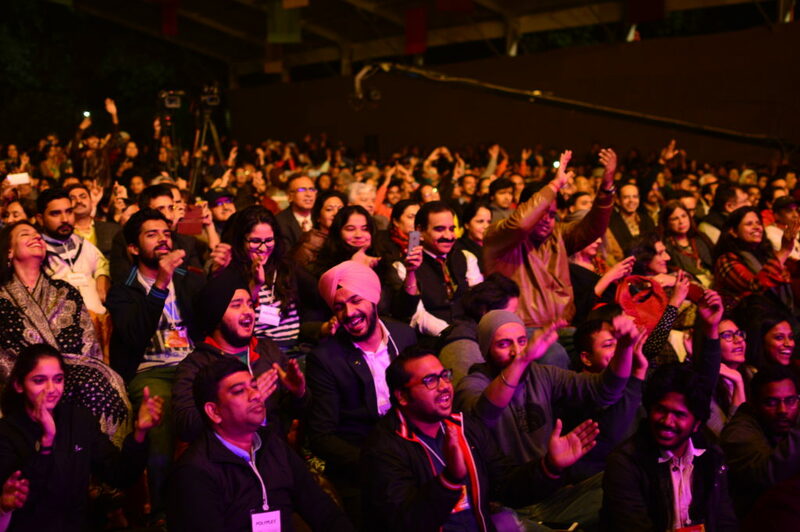 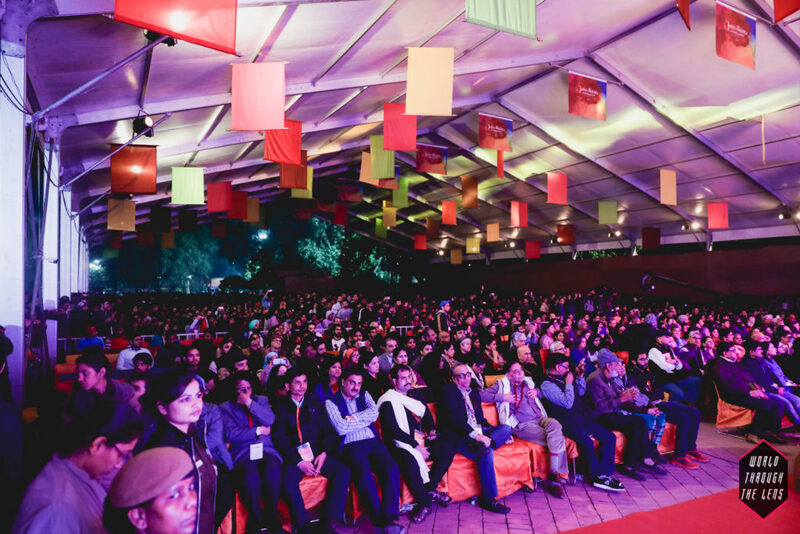 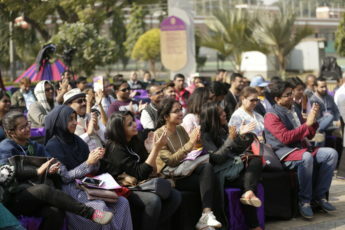 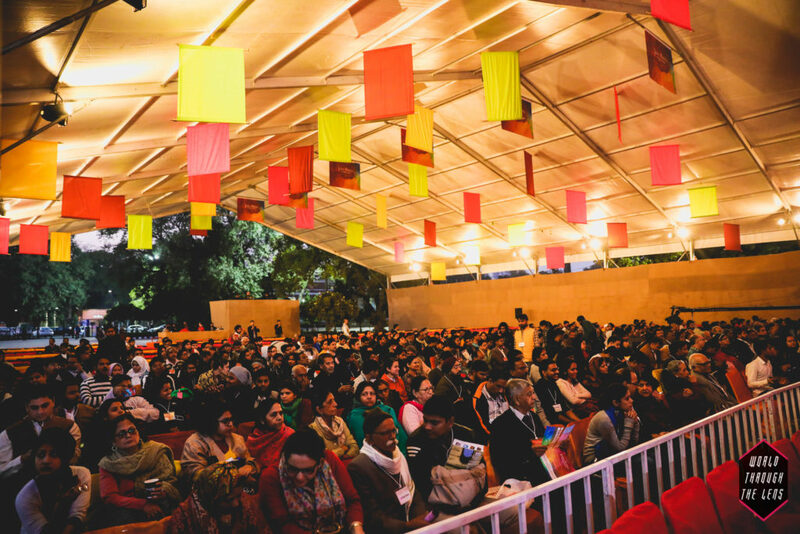 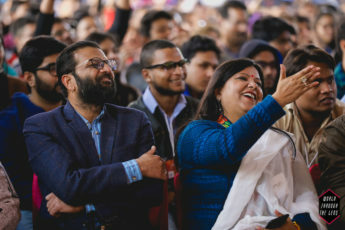 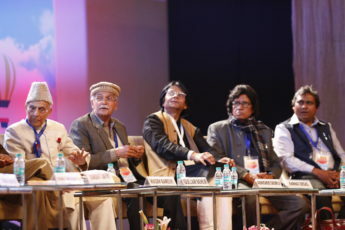 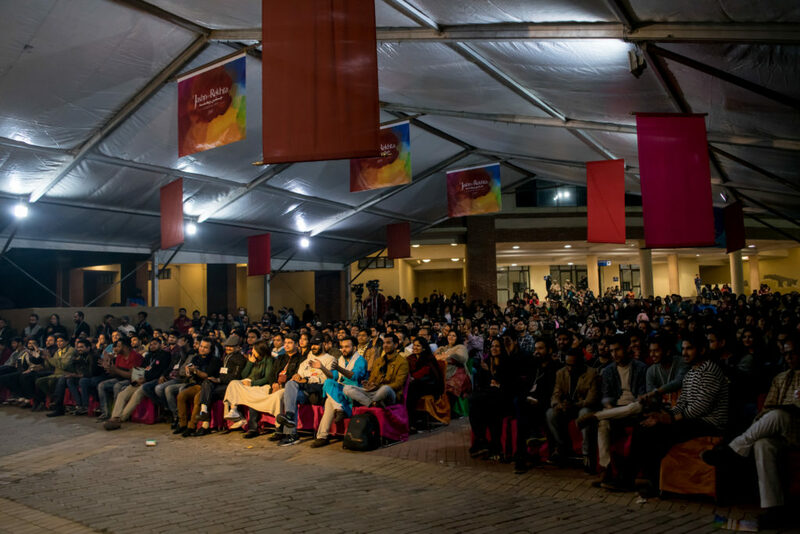 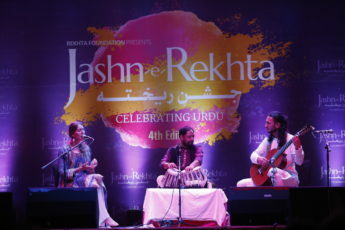 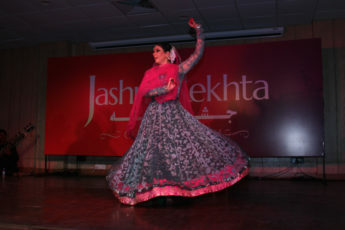 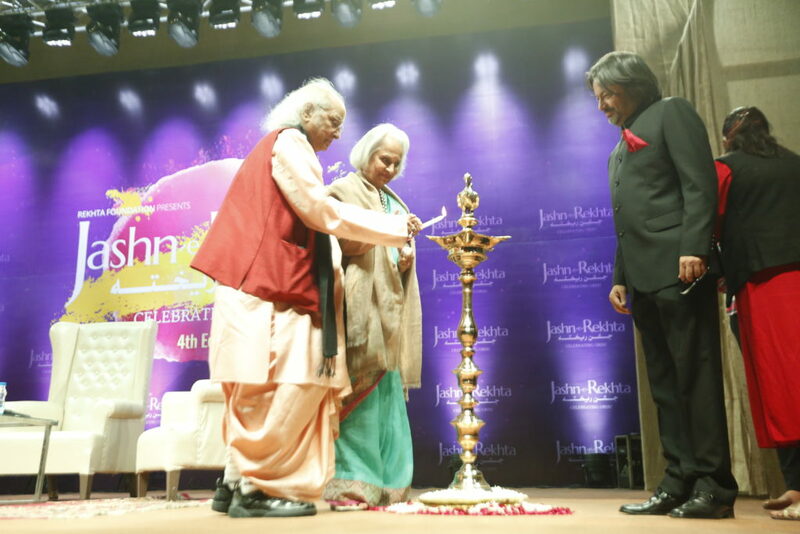 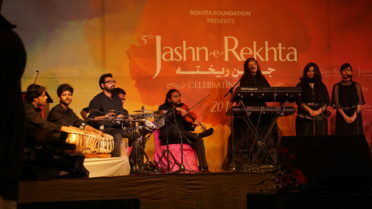 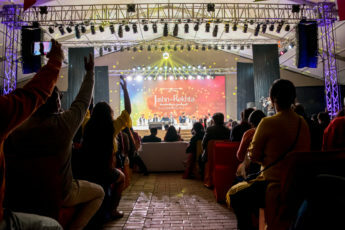 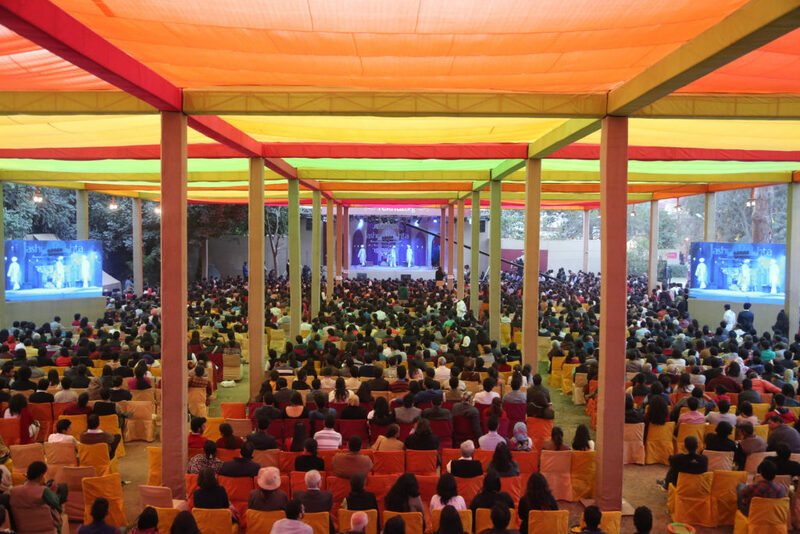 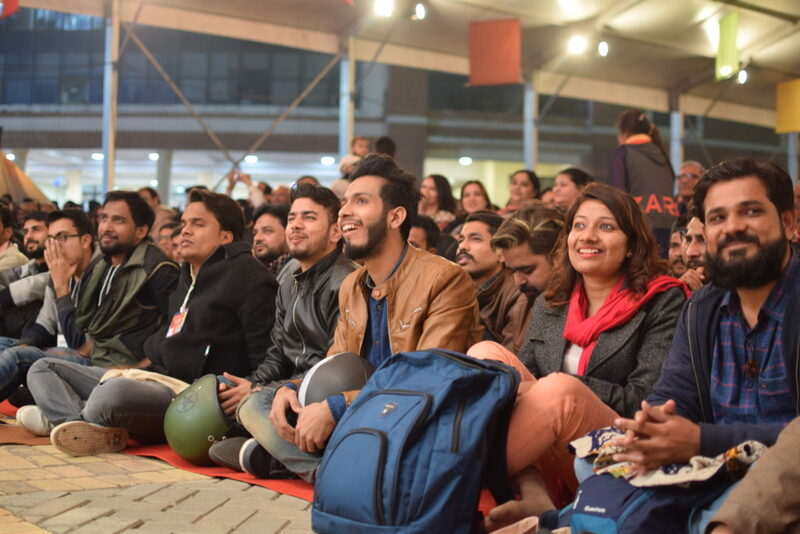 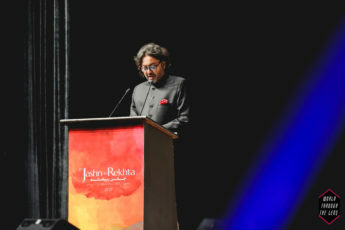 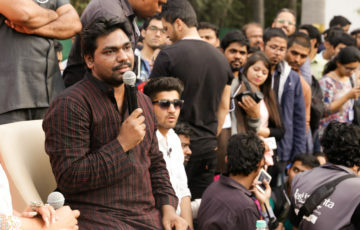 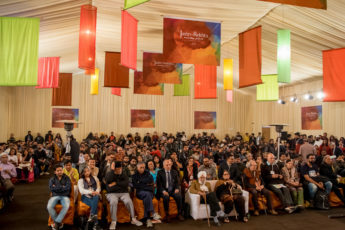 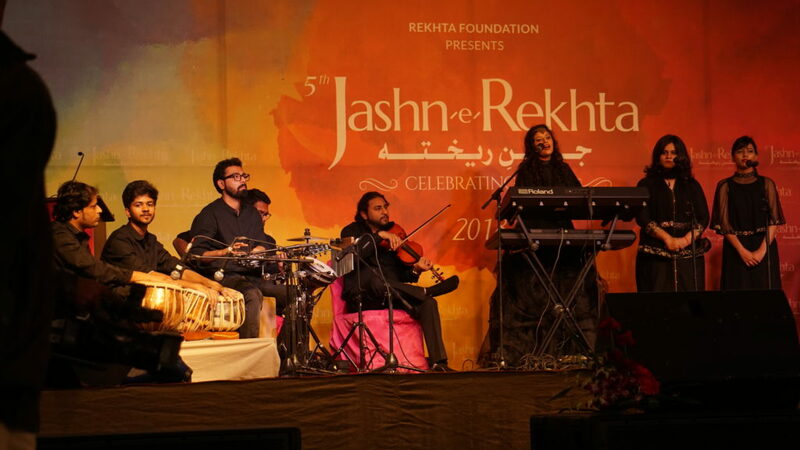 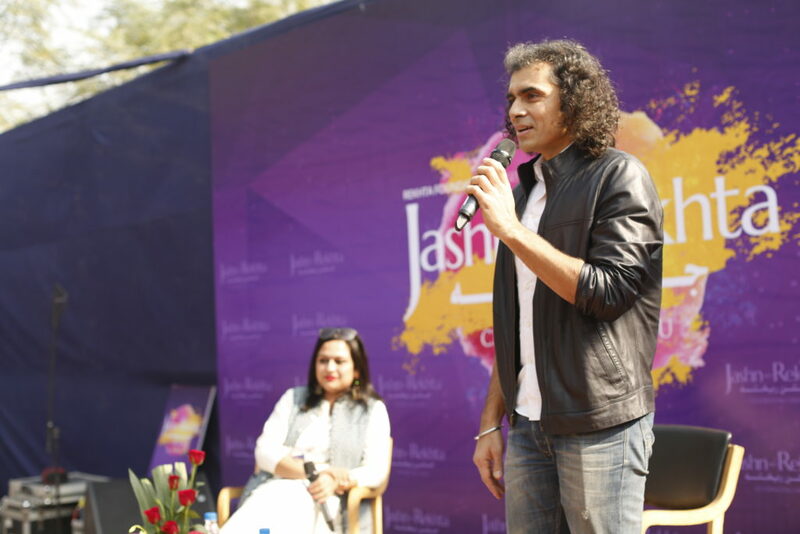 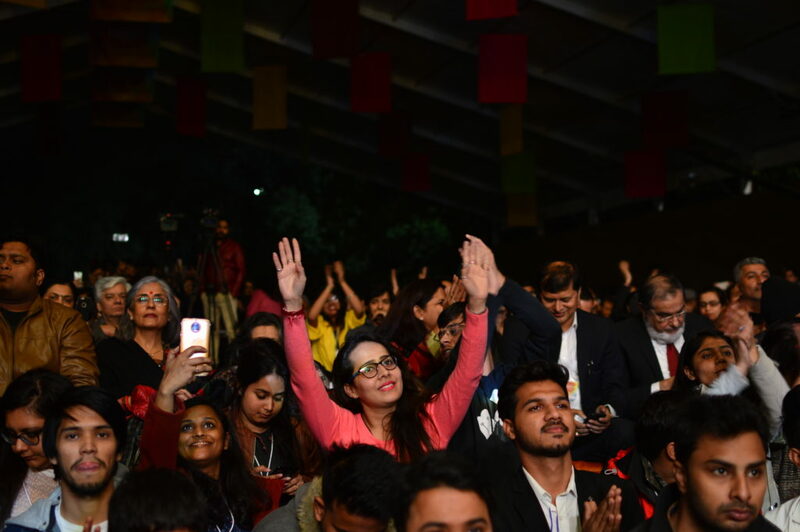 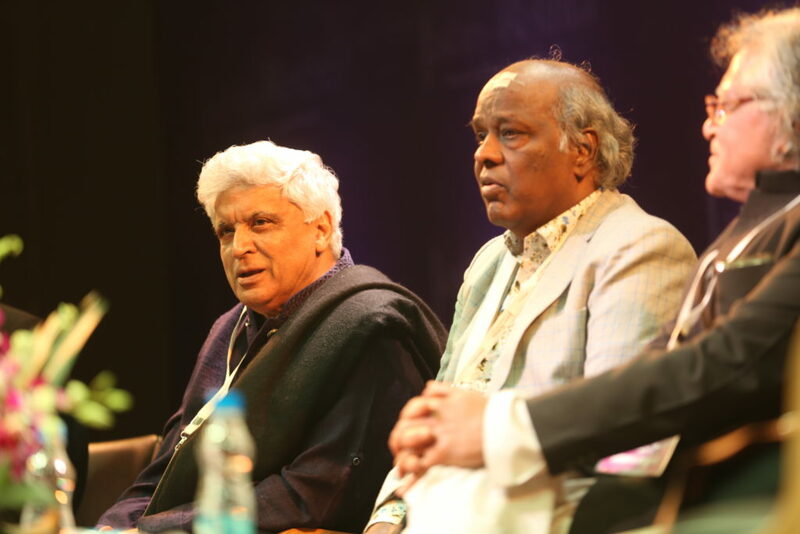 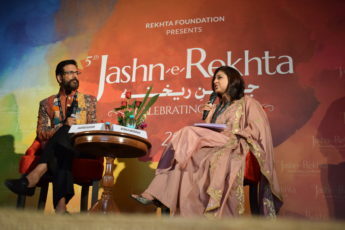 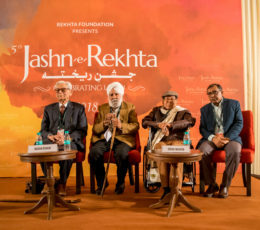 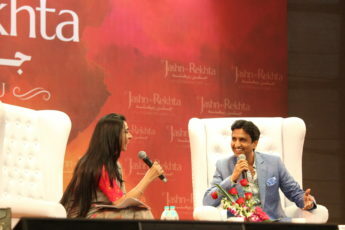 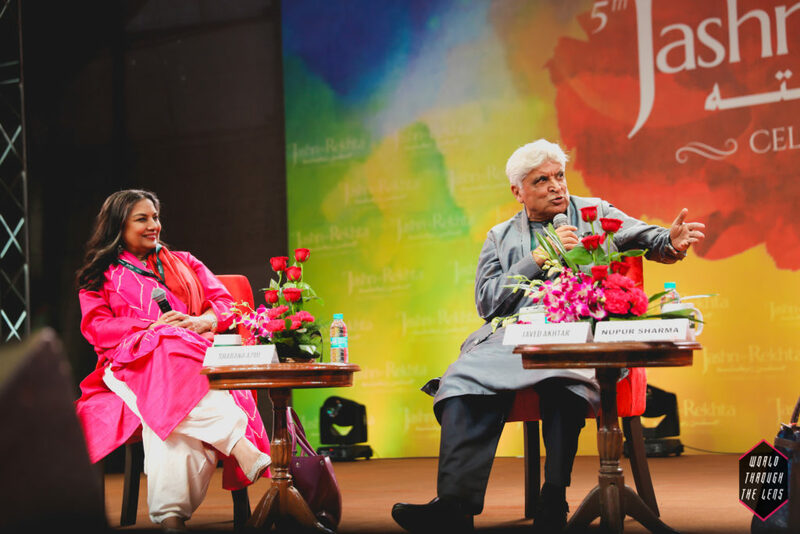 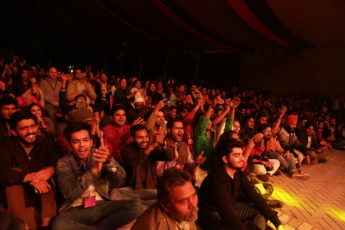 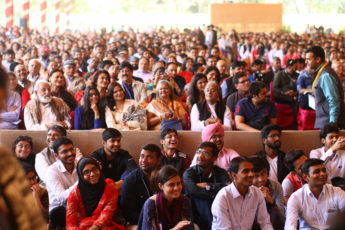 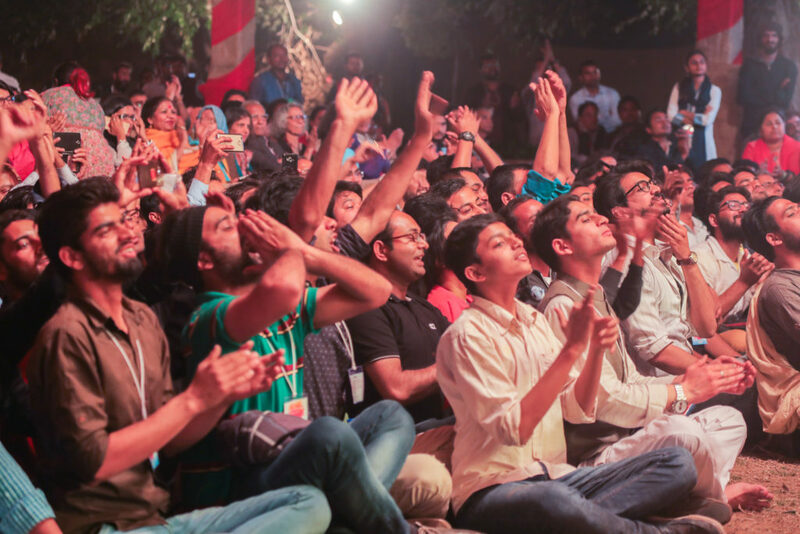 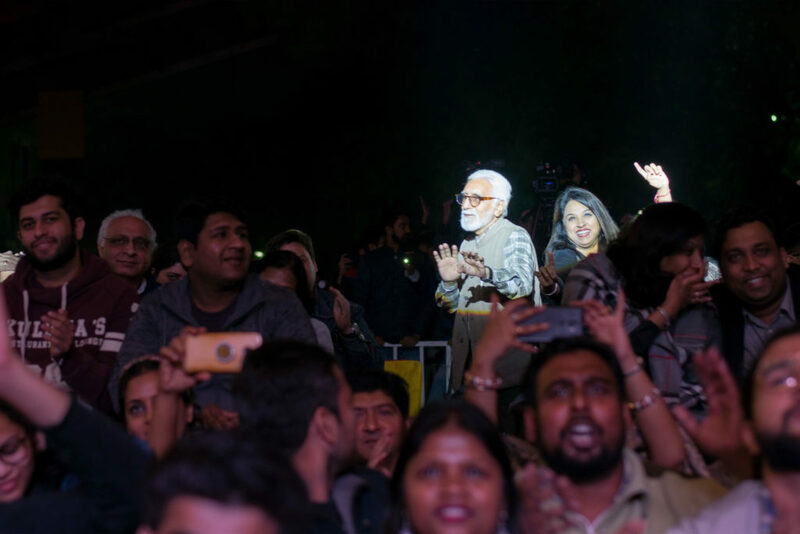 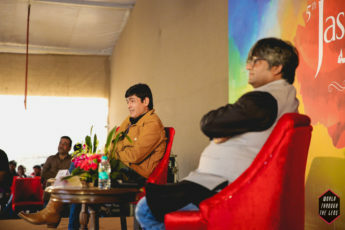 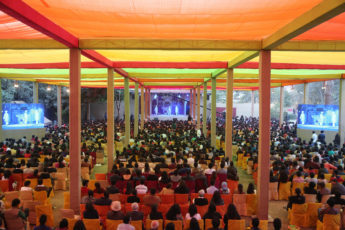 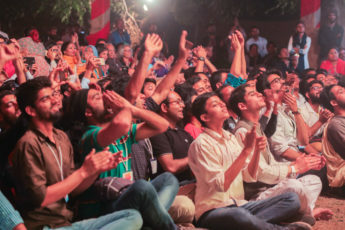 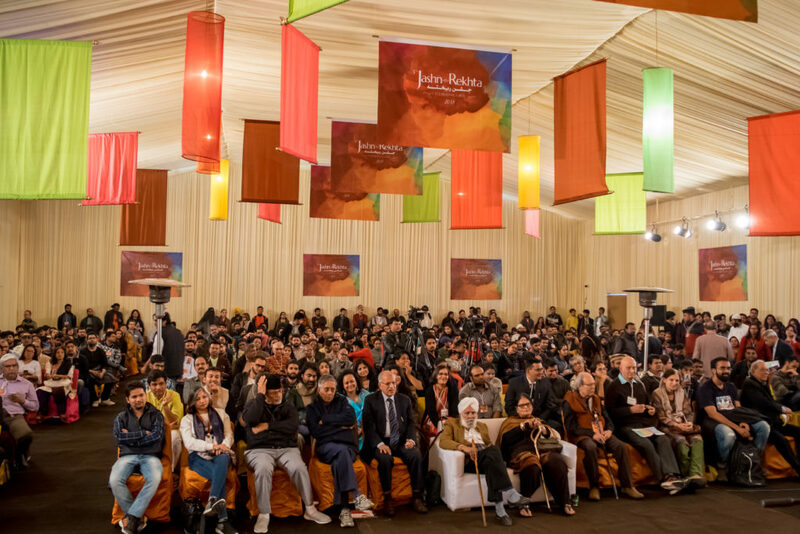 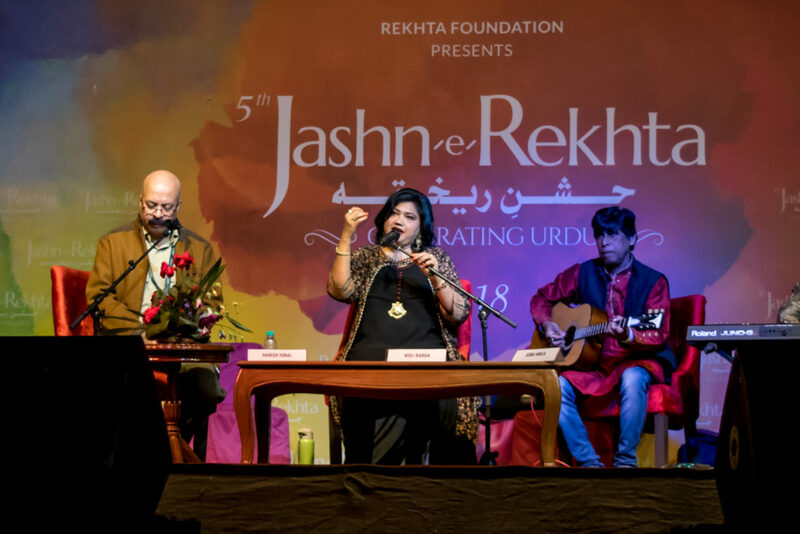 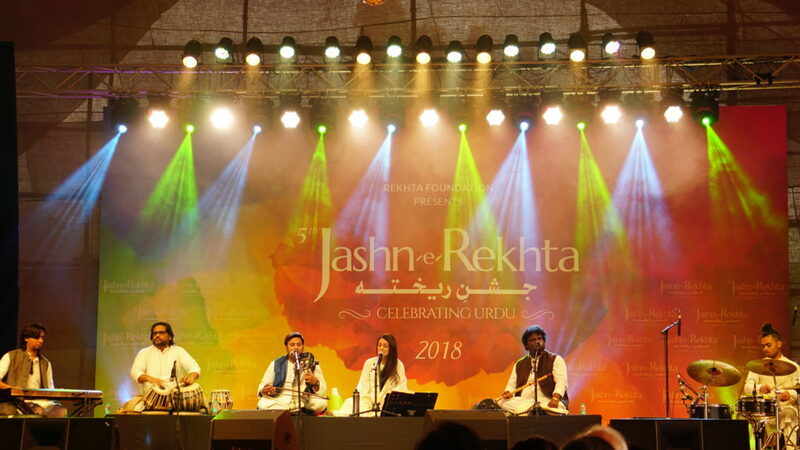 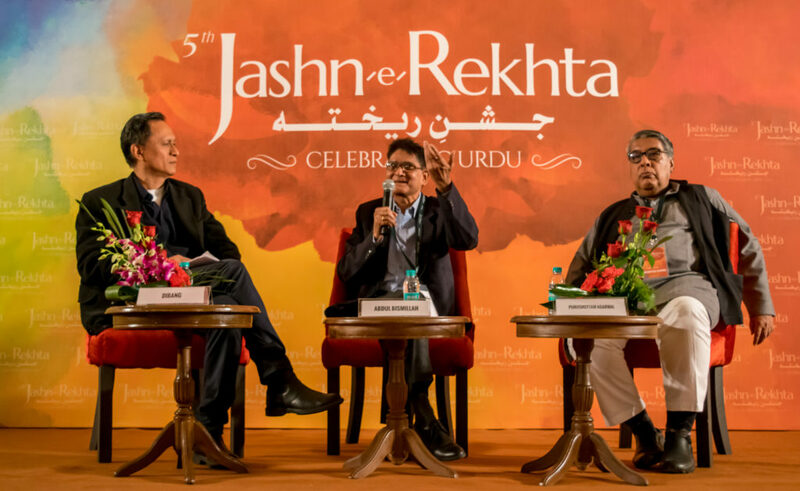 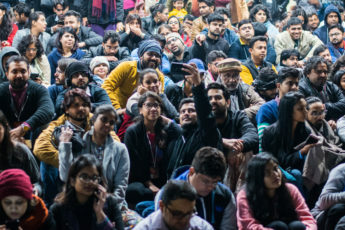 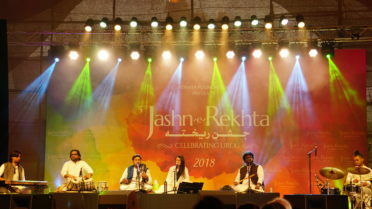 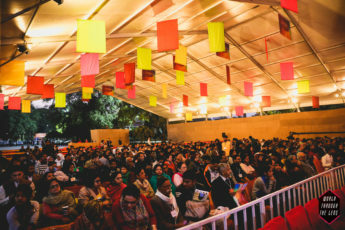 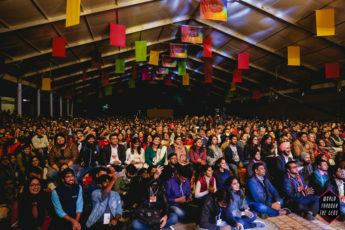 Jashn-e-Rekhta is a three-day festival held under the aegis of Rekhta. 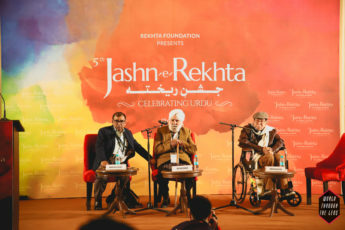 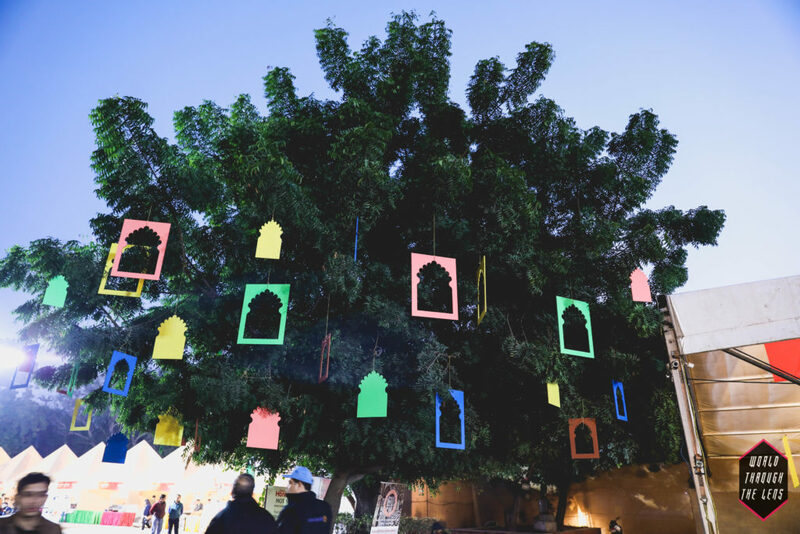 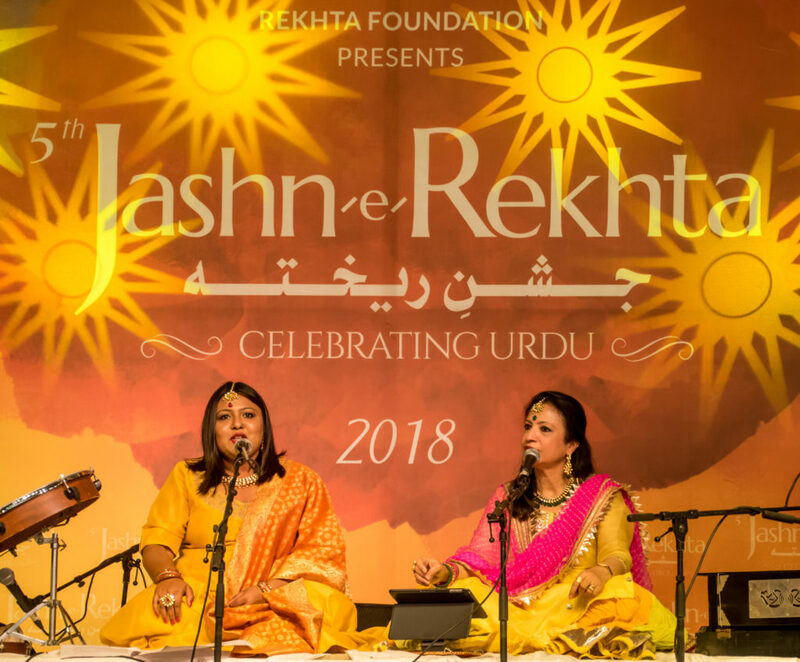 Devoted wholeheartedly to the preservation and promotion of the Urdu language, its literature and culture, Rekhta aims to bring this festival to one of the world’s most favoured events destination of Dubai. The festival promises to be a cultural extravaganza dedicated to the celebration of Urdu language, its literature and culture. 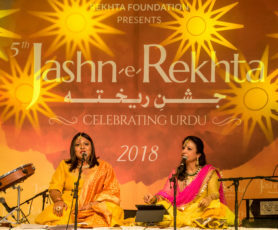 The exuberant and cosmopolitan communities of the United Arab Emirates have broadened the scope of Urdu as a popular medium of speech. 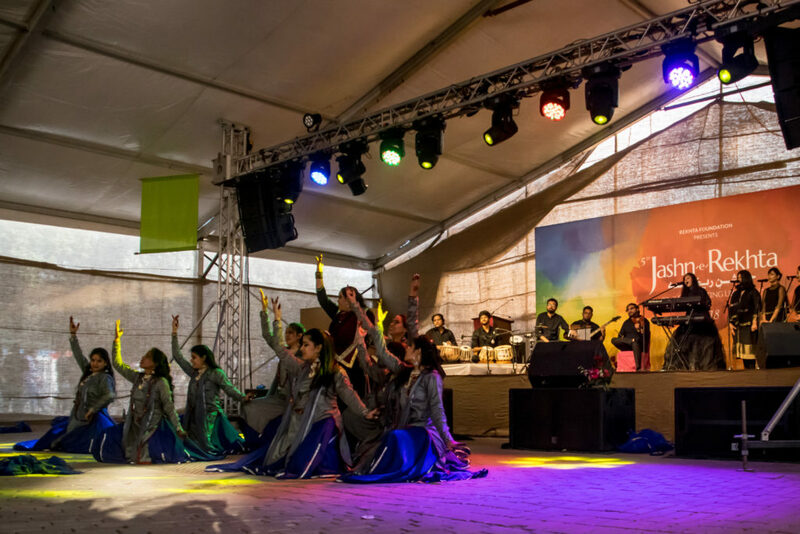 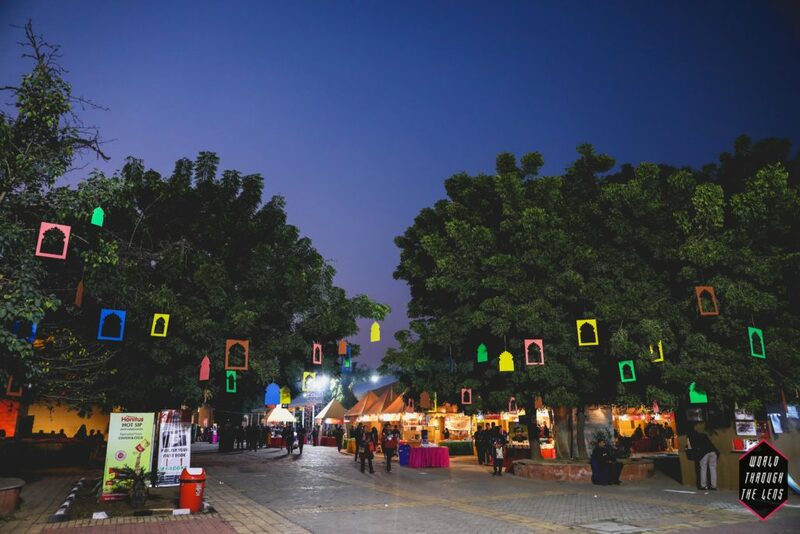 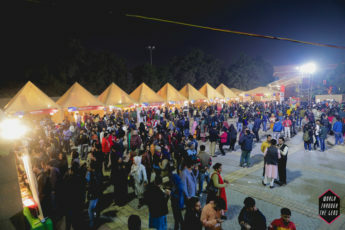 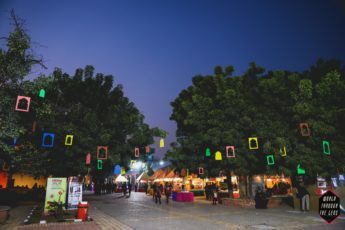 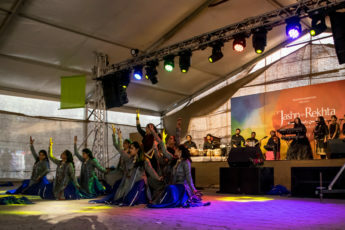 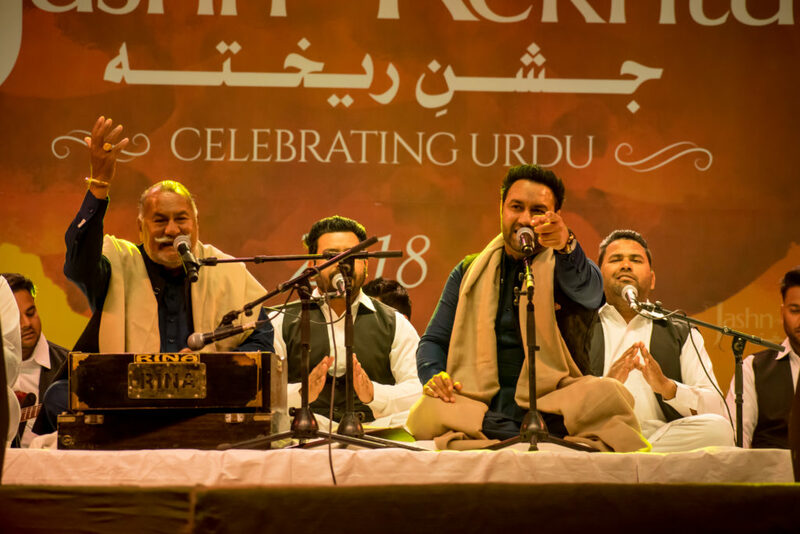 This festival will be a treat for lovers of the language who will be able to enjoy Urdu’s beauty and versatility through the myriad art forms that the language lends itself to. 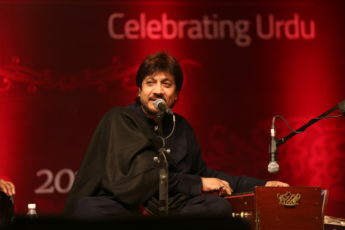 The event will see splendid musical performances of ghazals and qawwalis by renowned artistes. Additional activities include dastangoi, panel discussions, poetry recitations and enriching conversations with celebrities. 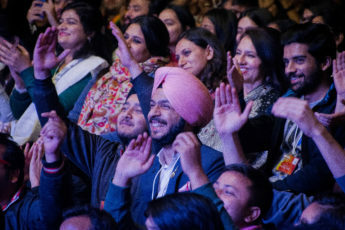 Marking his big break in Bollywood with 3 Idiots, where he played the role of Joy Lobo, talented actor Ali Fazal became a household name with films such as Fukrey, Happy Bhag Jayegi and Victoria and Abdul. Recently he has been creating waves with the role of ‘Guddu Bhaiya’ in Mirzapur. 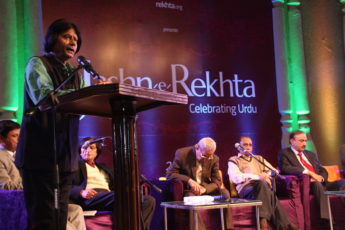 Abbas Tabish is a poet of repute from Pakistan. 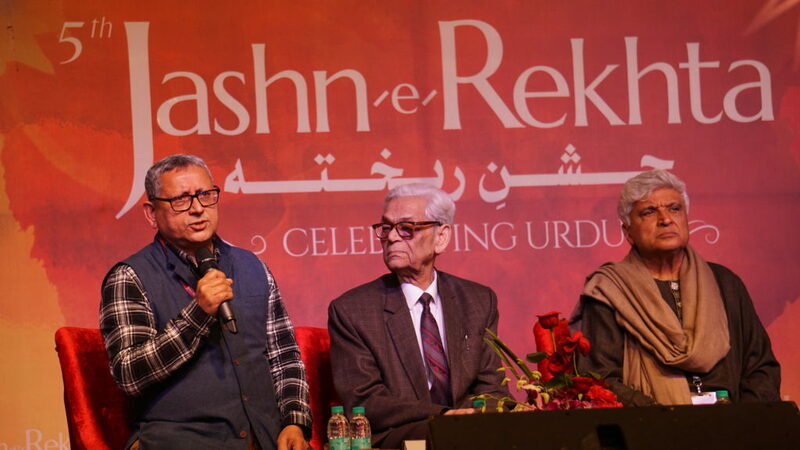 His collection of poetry called Ishqaabad brings together his four earlier anthologies in one volume. A poet of intriguingly individual perceptions, he keeps away from an assumed philosophical posture and draws upon a diction that is direct and unassuming. 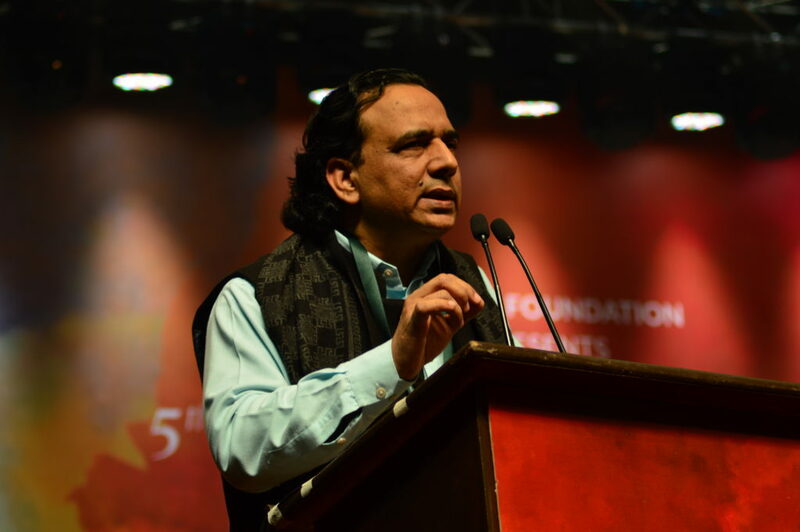 A Pakistani poet renowned for his sehl-e-mumtina (a form of poetry that uses simplistic language to communicate profound thoughts), Anwer Hasan Khan writes under the pen name, Shaoor. An immensely respected writer with a large following, he contributes a daily qat’aat (four-line) to the widely-read Pakistani newspaper, Jang. 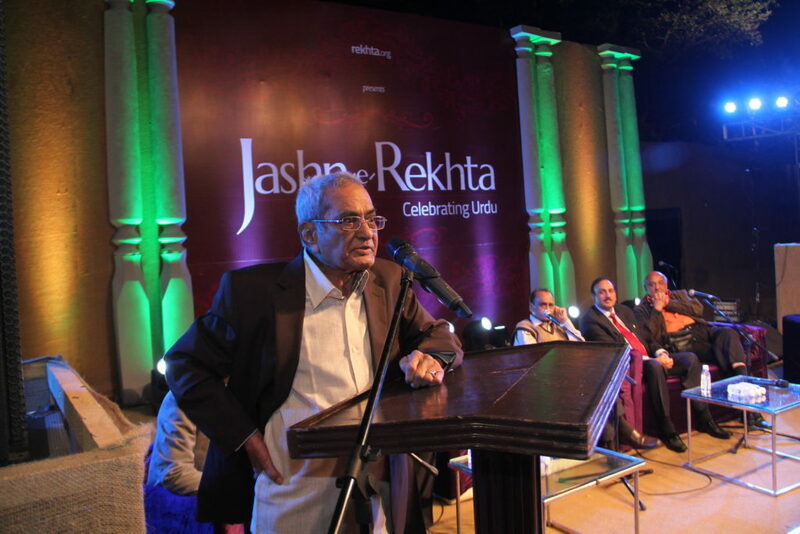 His writings also feature in Funoon, a recognized Urdu literary magazine in Pakistan. Anwer Shaoor has written three collections of Ghazals called ‘Andokhta, Mashq-e-Sukhan’, and ‘Mee Raqsam’. 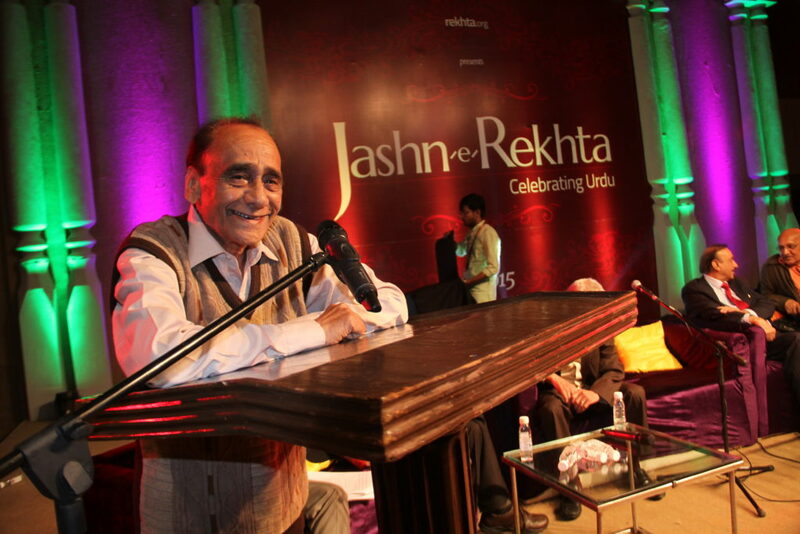 His book, ‘Dil Ka Kia Rang Karon’, was released with much fanfare in May 2014. A former academic, Anwar Masood is a Punjabi and Urdu poet from Pakistan known for his comical poetry, nevertheless, his works span across other genres as well. Counted amongst the most respected female poets of the Indian subcontinent, Zehra Nigah carved her own niche in the Urdu poetry and literary world which was dominated by males during the 1950s. 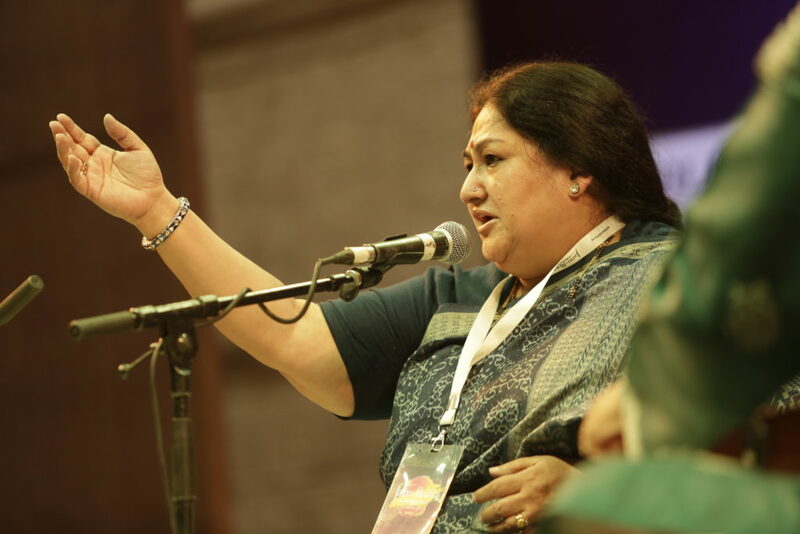 She gained prominence as a scriptwriter for several popular television serials of Pakistan. Some of her known published works include Waraq and Firaq. An Indo-Canadian physician, author and poet, Syed Taqi Hassan Abedi has published a number of books on poets such as Ghalib, Insha and Faiz. 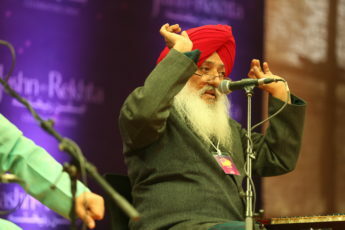 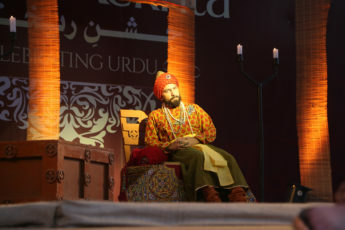 He has also written extensively on Mir Anees’ and Mirza Dabeer’s marsiyas (elegiac poems describing the Battle of Karbala) and rubai (Persian poetry consisting of four lines) while also highlighting the contribution of non-Muslim poets who wrote naats (poetry in praise of Prophet Muhammad) and marsiyas. 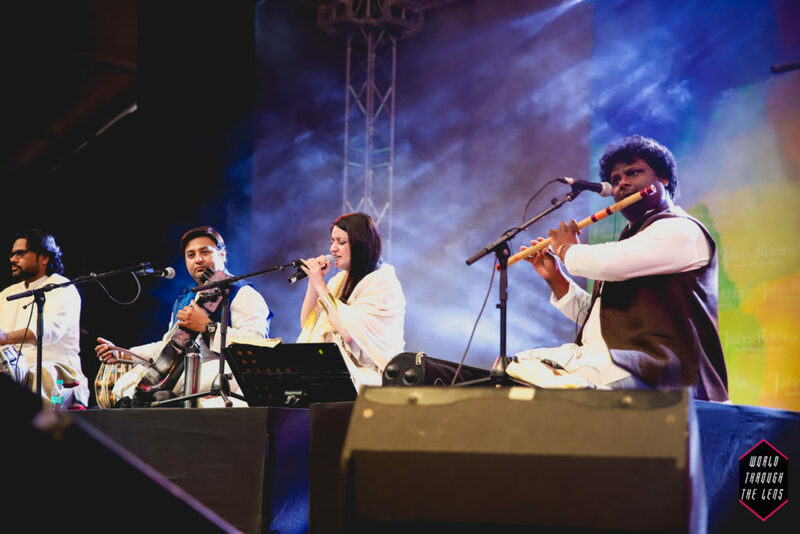 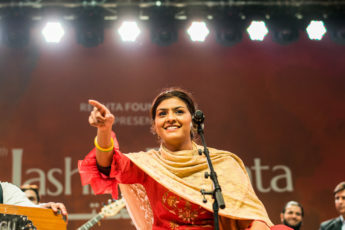 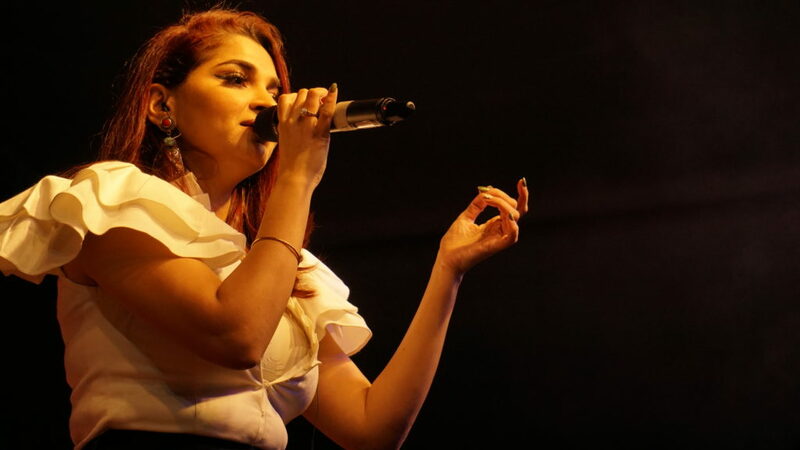 Considered one of the most talented of Pakistani folk and sufi singers, Sanam Marvi took to the centre stage with her performances at Coke Studio Pakistan. 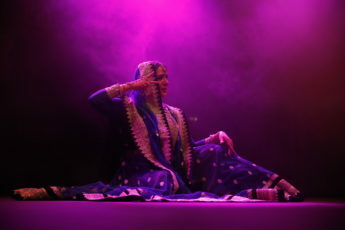 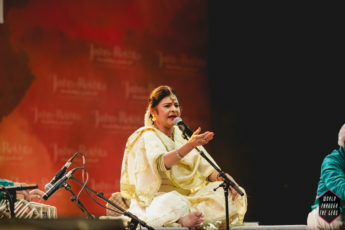 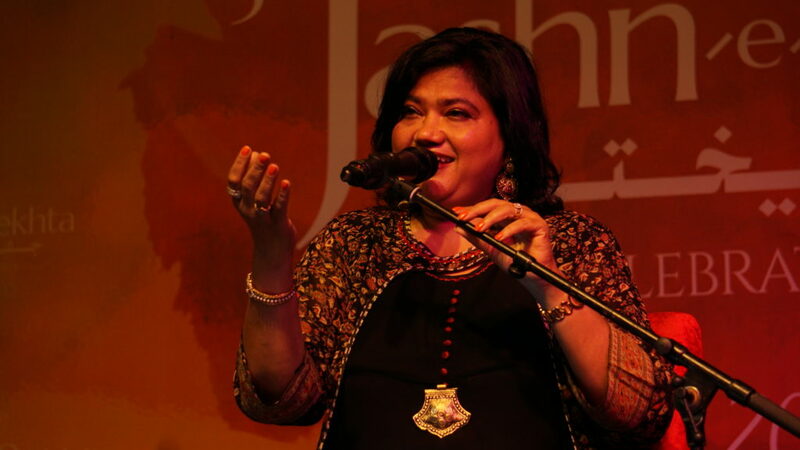 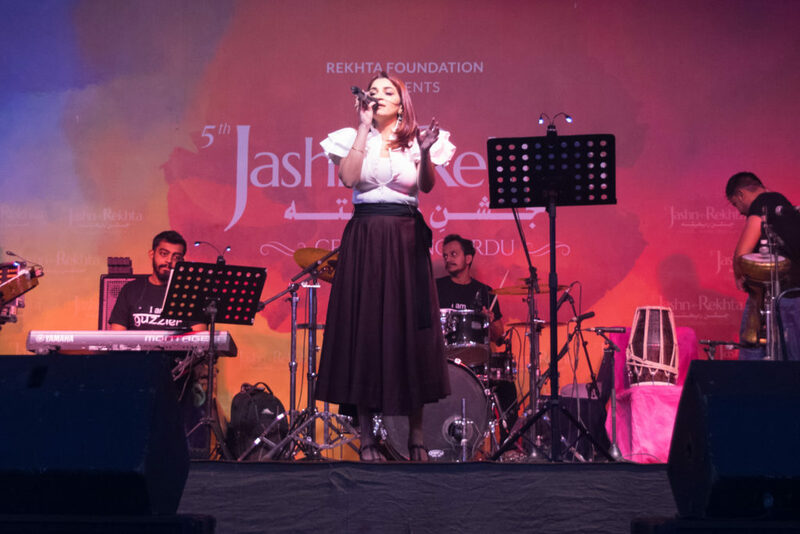 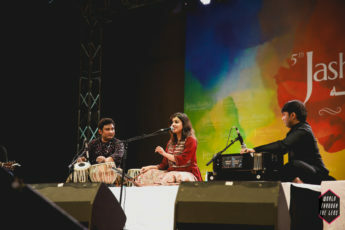 Some of her popular numbers include Manzil-e-Sufi, Mai Ta Aap Khayal and Lagi Bina. 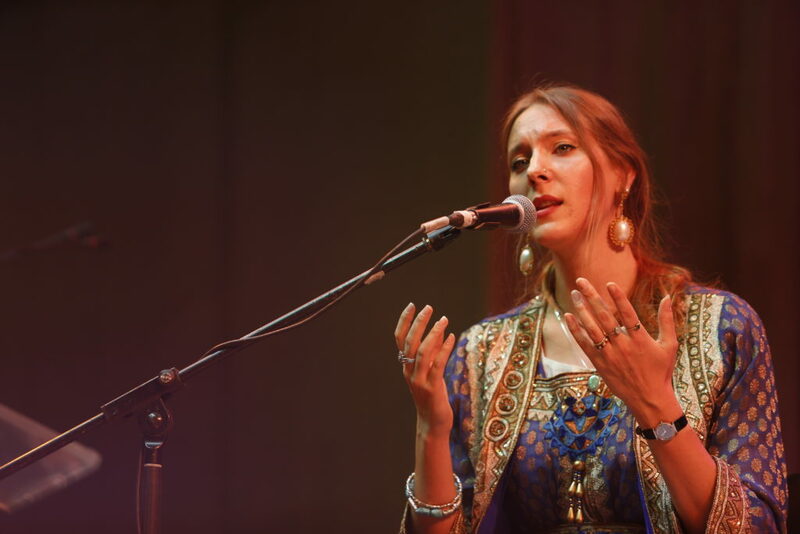 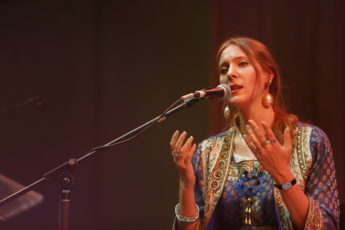 She sings in her native Sindhi as well as in Punjabi and Balochi. 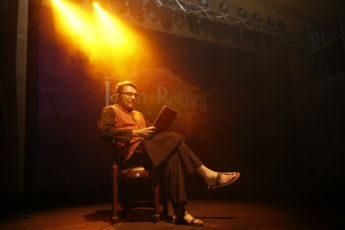 Ranked amongst the most popular character actors of India, Raza Murad has some of the most memorable supporting roles to his credit. 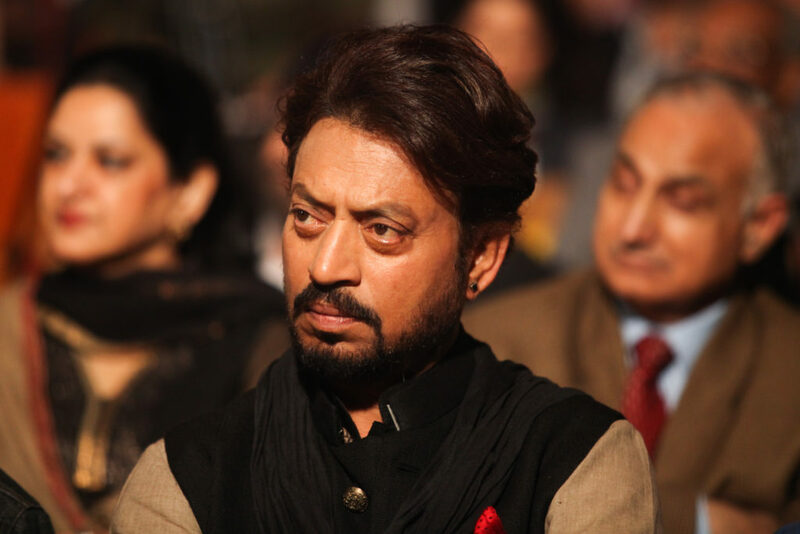 A few of his iconic roles include that of ‘Alam’ in Namak Haram and ‘Sir John’ in Ram Lakhan. 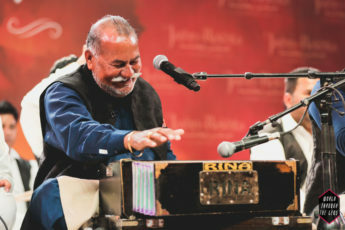 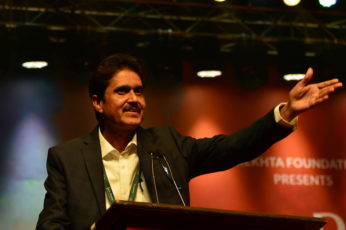 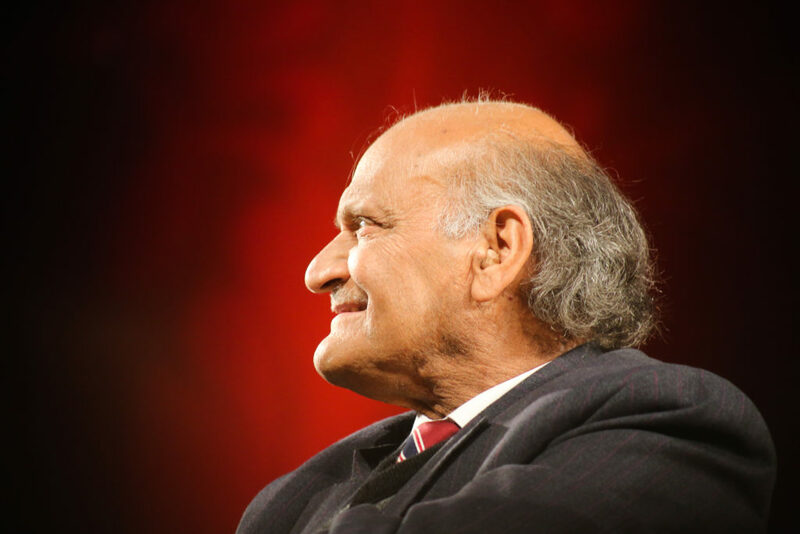 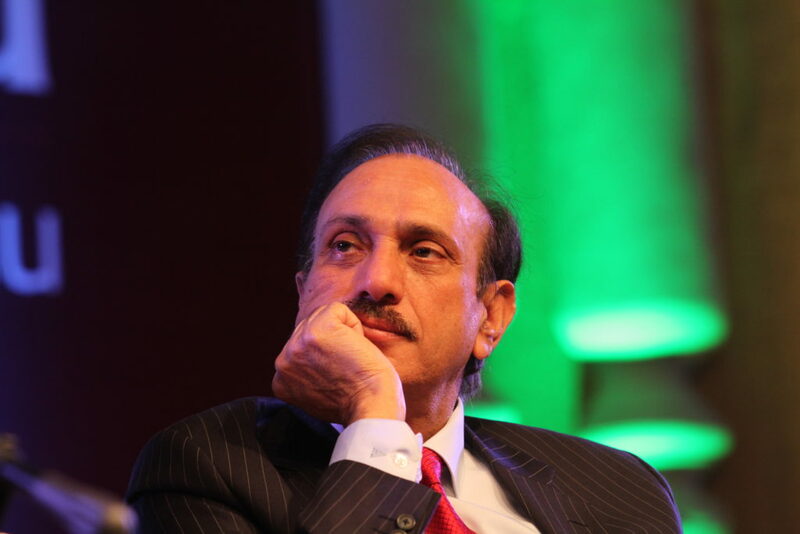 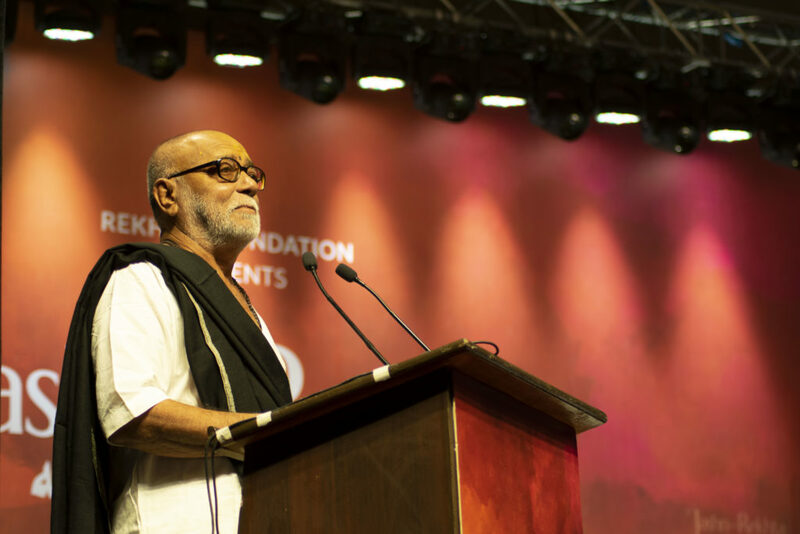 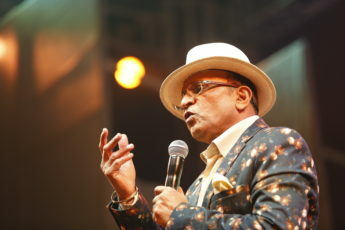 An alumnus of the Film and Television Institute of India, Raza is known for his philanthropic activities, his proficiency and erudite hold on Urdu. Dr. Radhika Chopra, an exceptional Ghazal singer, is one of the few artists who has eschewed the new-age fusion music to retain the traditional, raga-based style. 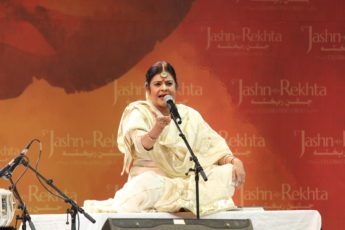 A purist at heart, she learnt Thumri, Dadra and Ghazal under the tutelage of Begum Akhtar’s legendary disciple, Smt. 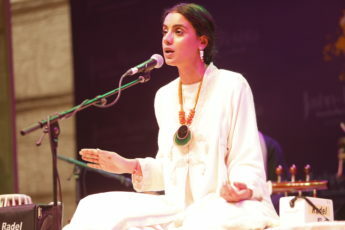 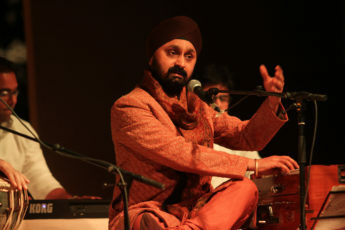 Shanti Hiranand. 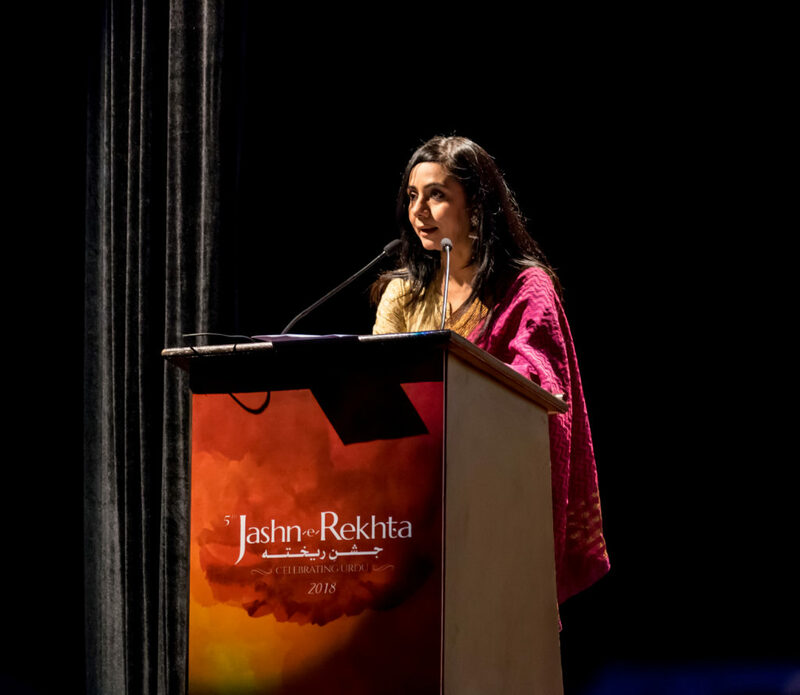 Born and brought up in Jammu, Radhika is extremely well-versed in Hindi as well as in Urdu. 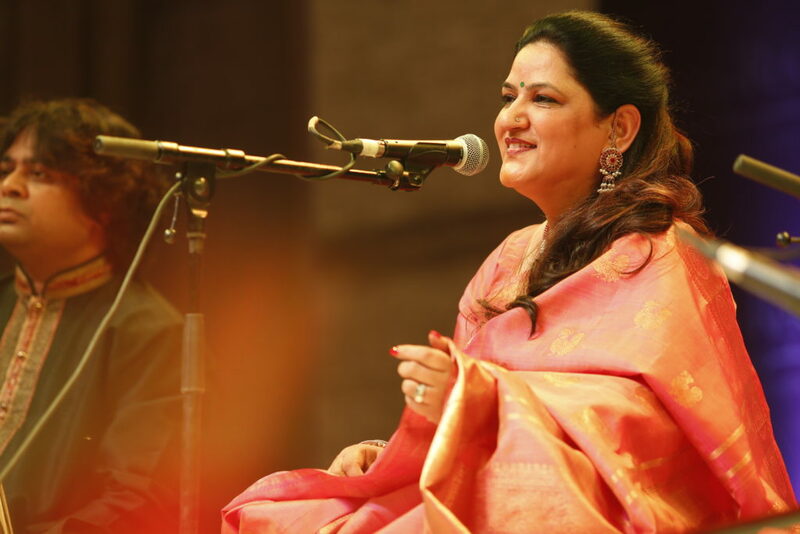 She has been selected by the Indian Council of Cultural Relations (ICCR) to perform at international venues as part of an initiative to promote Indian classical music abroad. 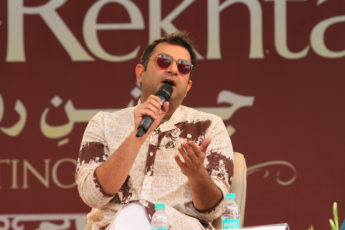 Juggling many roles including that of an actor, director, scriptwriter and producer, Sarmad Sultan Khoosat earned a name for himself as a director in the Pakistani film and television industry with the blockbuster Humsafar. 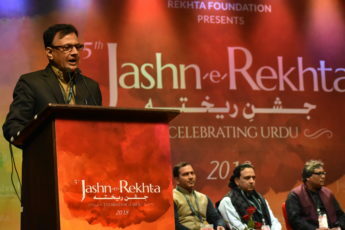 His other directorial ventures include Shehr-e-Zaat and Main Manto, in which he also played the role of Saadat Hasan Manto, among several others. One of Pakistan’s most beautiful and sought-after actresses, Mahira Khan won hearts for her role as Khirad in the teleseries Humsafar in which she starred opposite heartthrob Fawad Khan. 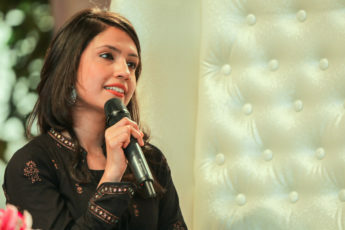 Beginning her career as a VJ, Mahira went on to debut in films with Bol, where she played the supporting role of a girl from a conservative family who charts her own path. The award-winning actress has also starred opposite Shahrukh Khan in Raees, and has a major fan following in India too. 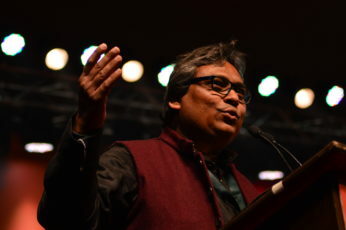 Farhat Ehsas is a notable contemporary Urdu poet and writer living in Delhi. 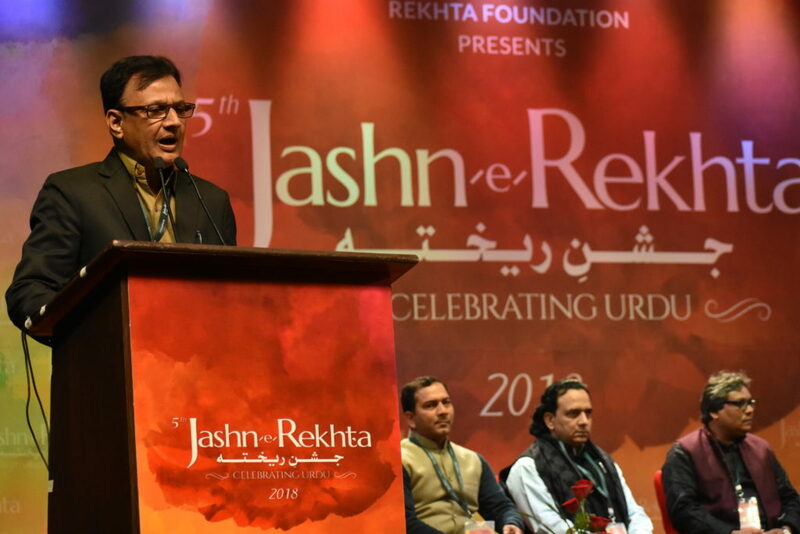 A specialist in traditional Persian and Urdu poetry, his work primarily dwells on the life of the common man, of his miseries and fortunes, and of the repercussions of government excesses and corruption on his life. Mr. Ehsas has been the editor of Qaumi Aawaz, a prestigious Urdu literary magazine in north India. 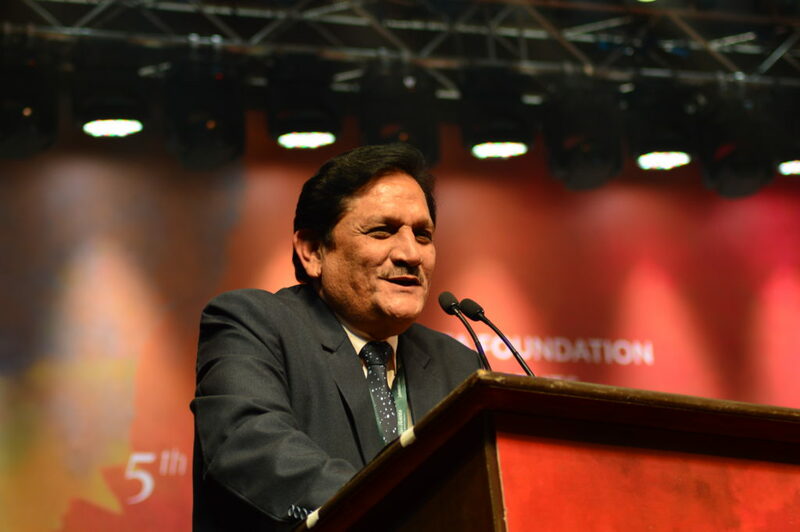 In addition to this, he has been a commentator on current affairs with All India Radio and the Urdu Service of BBC. Currently he is associated with Rekhta.org, which boasts the largest online collection of Urdu poetry in the world. 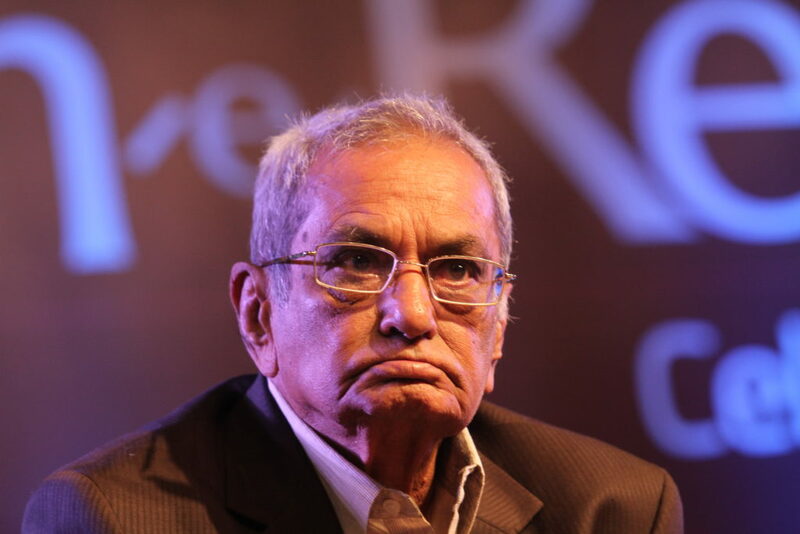 Mr. Ehsas has also written scripts for films and for several serials on All India Radio. Recipient of the prestigious Presidential Pride of Performance by the government of Pakistan, Ashfaq Hussain Zaidi is one of modern Urdu’s most prominent poets. Widely recognized as an authority on works of the great Urdu poets, Faiz Ahmed Faiz and Ahmad Faraz, Ashfaq migrated to Canada in 1980 where he founded the Writers Forum of Pakistani Canadians. 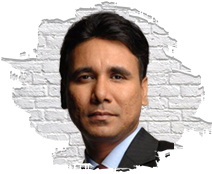 Currently, he is an associate producer at Asian Television Network in Newmarket Canada. 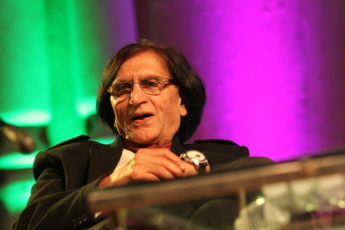 A well-known face on television, he hosts popular shows which include, Urdu Rang, Asian Horizon and Asian Digest. 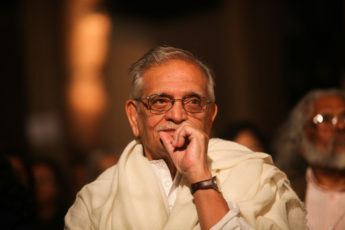 In his long career he has interviewed numerous celebrities, like Dilip Kumar, Javed Akhtar, Ghulam Ali, Zia Mohyeddin and M. F. Husain, amongst others. 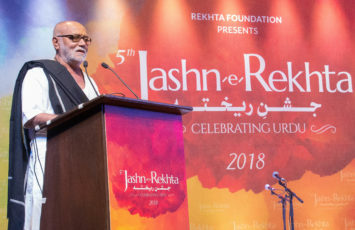 An author of more than two dozen Urdu books, many of them written for children, Ashfaq has won many awards, some of which include the Indian Maulana Mohammad Ali Johar Award and the Asian Television Network Life Time Achievement Award 2007 awarded in Canada. 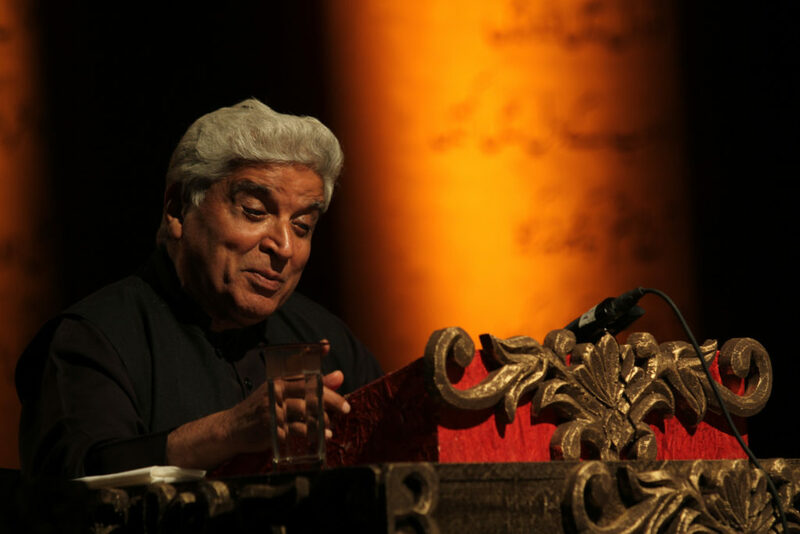 Iftikhar Hussain Arif, commonly known as Iftikhar Arif, is an Urdu poet, scholar and littérateur from Pakistan. His style is romantic Urdu poetry. He has headed the Pakistan Academy of Letters and the National Language Authority. 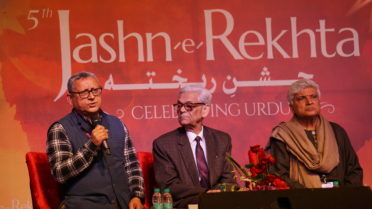 Shamim Hanfi is one of India’s most respected and learned Urdu literary scholars and critics. He is the former Dean and Head of the Urdu department at Jamia Millia Islamia University in New Delhi and editor of the prestigious magazine, Risala Jamia. 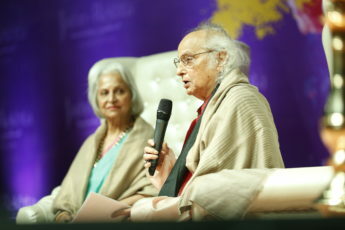 Author of innumerable essays, critiques and books, some of Dr. Hanfi’s reputed works include titles like Khayal ki Musaafat’, ‘Qari say Mukalma’ and ‘Mazameen ka Majmua’. 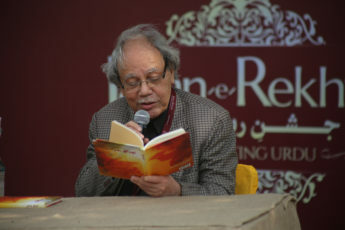 He has also written many stories for children, something he admits to enjoying immensely. 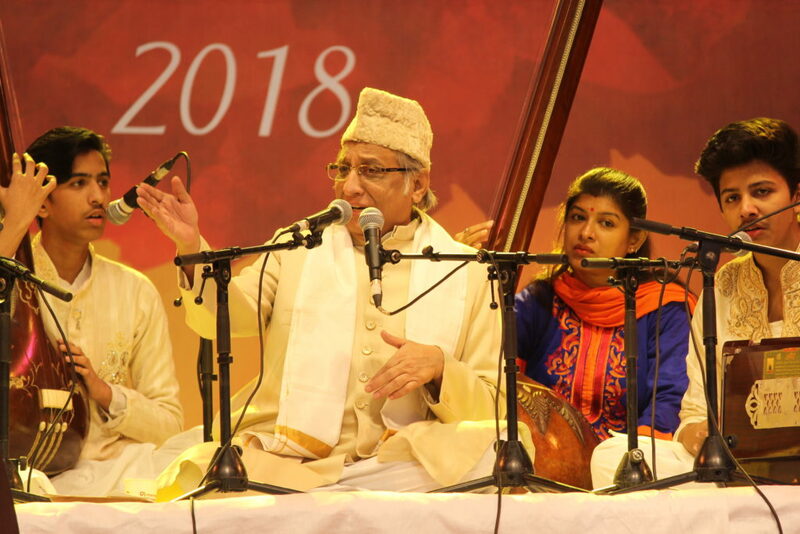 A not-so-known fact about Dr. Hanfi is that he is extremely artistic and maintains a keen interest in painting, pottery and the performing arts. 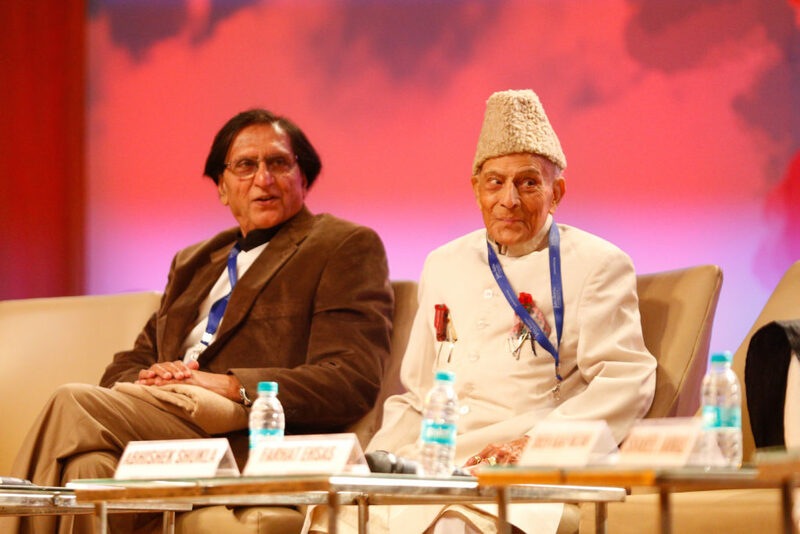 Prof Abul Kalam Qasmi is a leading Urdu writer, academic, literary critic and translator. An extremely well-respected professor in the department of Urdu at the Aligarh Muslim University, he has been widely published. He has written more than two hundred research papers and two dozen books, which include original literary criticism, translations and compilations. He has also been editor of the renowned literary journal Alfaz. 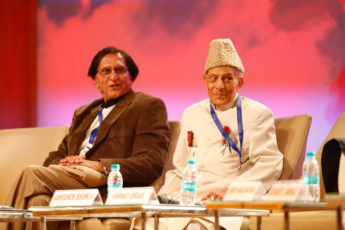 Prof Abul Kalam Qasmi received India’s prestigious literary honour, the Sahitya Academy Award for his Urdu book ‘Maasir Tanqueedi Rawaiyye’ in 2009. 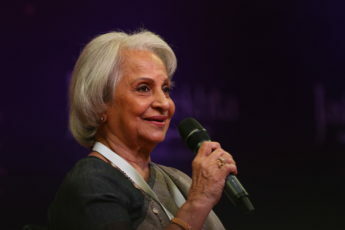 A renowned educationist, culture expert & human rights activist, Dr Arfa Sayeda Zehra has achieved a respectable position in society due to her devotion towards the cause of women empowerment. 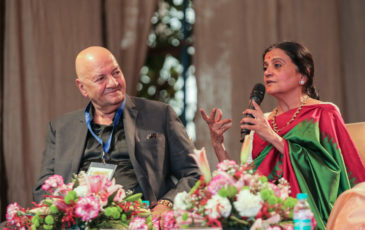 Educated in Pakistan and the US in Urdu and History, her strong understanding of the great tradition and rich history of the subcontinent have led her to become a role model for her contemporaries as well as students. Among her several achievements include her contribution to promotion of literature and the arts. 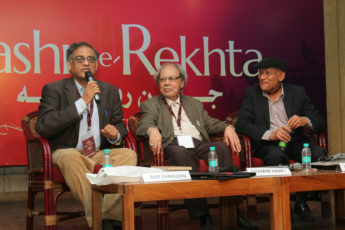 Asif Farrukhi is a Karachi-based author, critic and translator, writing in Urdu and English. Educated at Dow Medical College, Karachi and Harvard University, he has translated several Urdu works into English. 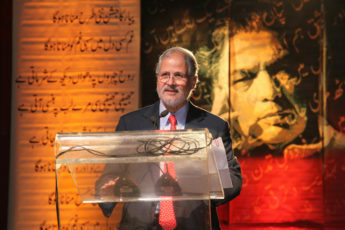 He is the editor of the Urdu literary journal Dunyazad and co-founder of the Karachi Literature Festival. 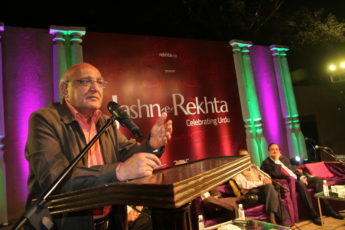 Asif Farrukhi has also published six collections of short stories and two collections of literary criticism. 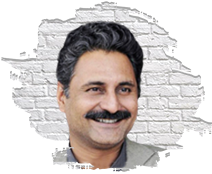 Farrukhi works for Habib University as Associate Professor and Director of the Arzu Centre for Regional Languages and Humanities. In 1995, Farrukhi received the Prime Minister’s award for literature, and in 2005 the prestigious Tamgha-i-Imtiaz (Medal of Excellence) from the President of Pakistan. Mustansar Hussain Tarar is a Pakistani author, travel enthusiast, writer, columnist, TV host and former actor. He has written more than 50 books including novels and a collection of short stories. 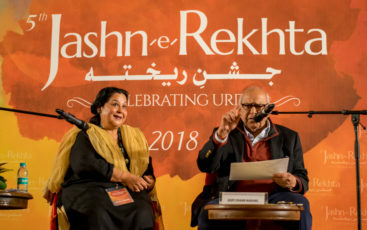 His first book was ‘Nikley Teri Talaash Main’ (1970), dedicated to his youngest brother, Mobashir Hussain Tarar, a travelogue of Europe published in 1971. 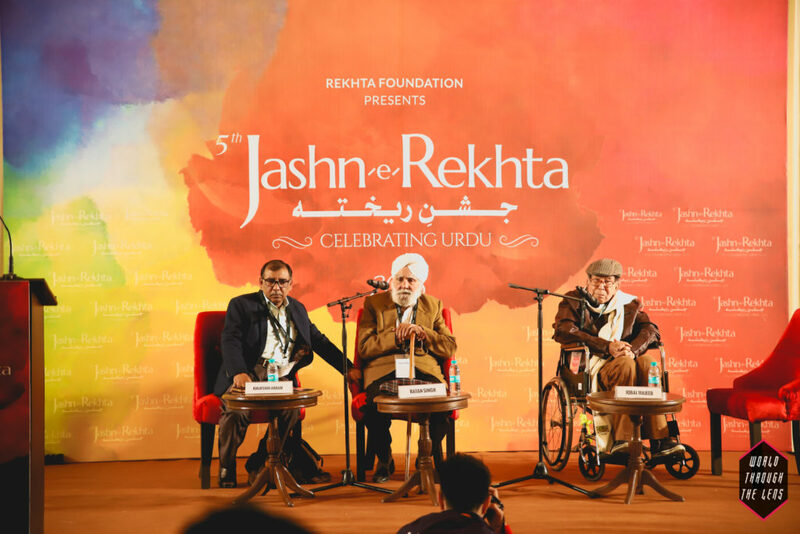 Starting a new trend in Urdu literature, he has to his credit over forty travelogues. 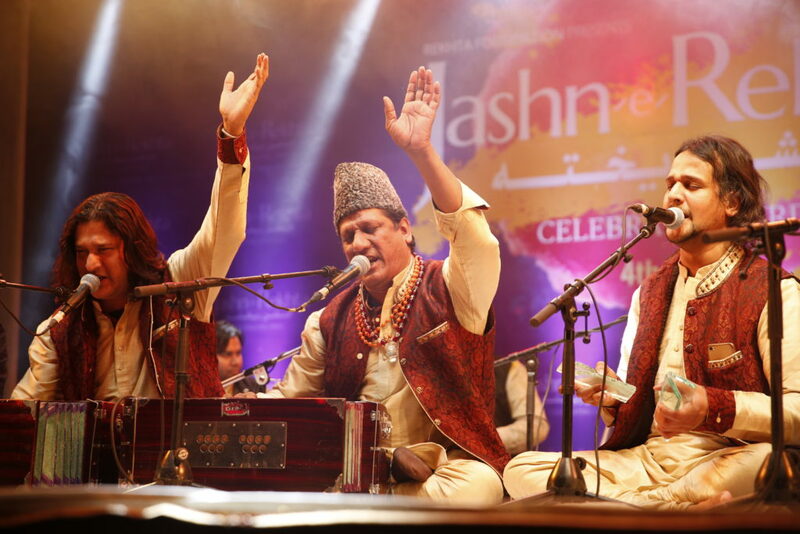 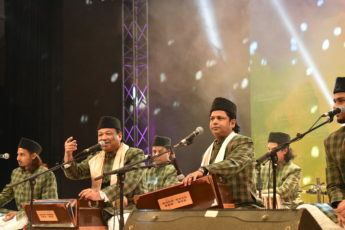 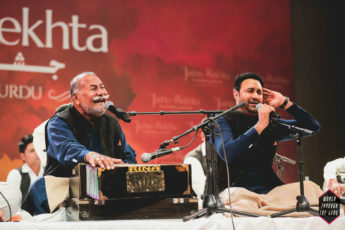 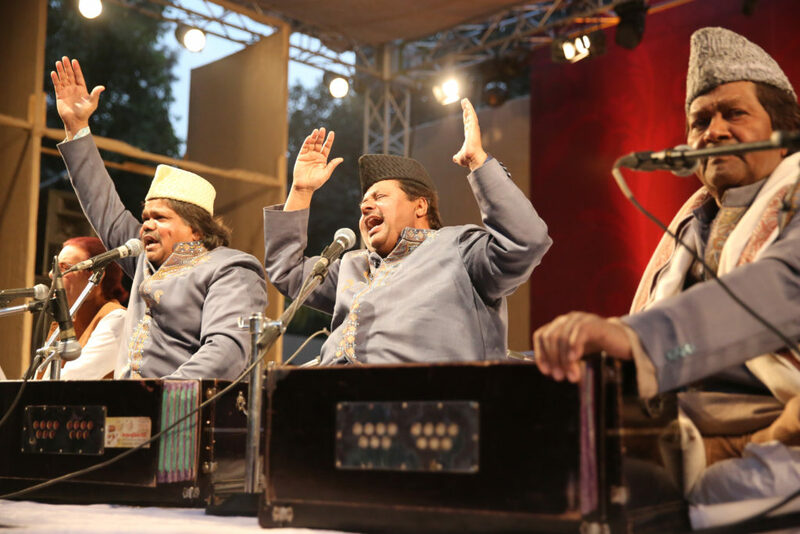 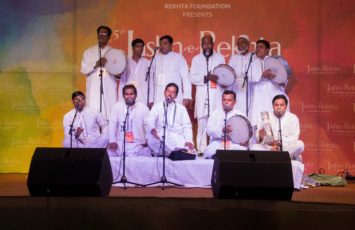 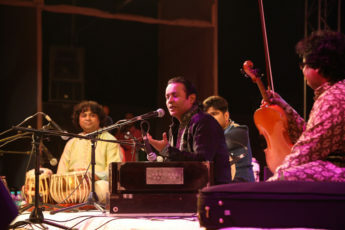 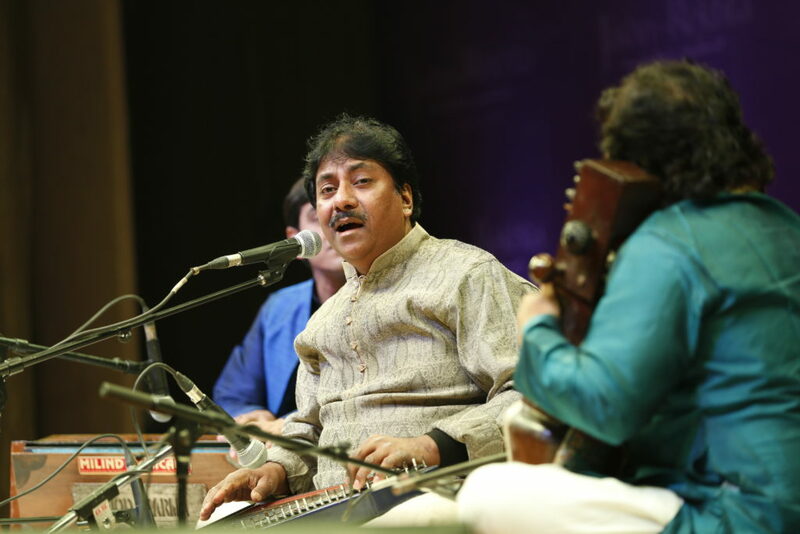 Belonging to the Delhi Gharana school of music, Pakistani brothers Fareed Ayaz and Abu Muhammad are one of the most renowned qawwals of the Indian subcontinent. They were highly appreciated for their Coke Studio Pakistan performances. 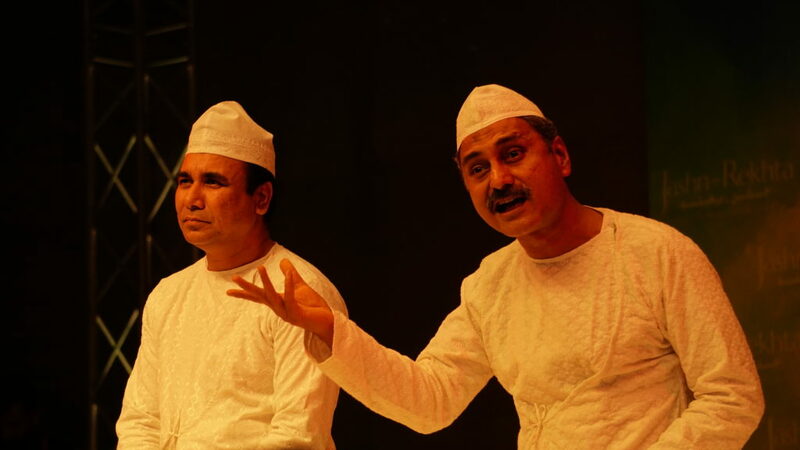 Dastangoi, a 16th-century Urdu storytelling art-form, would have died a slow death had it not been for the efforts of Mahmood Farooqui. 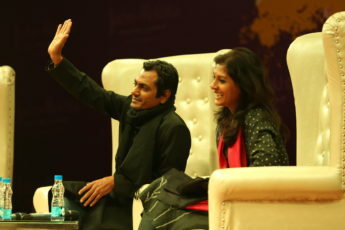 A historian, writer and performer, he has also co-directed the much-feted film, Peepli Live. 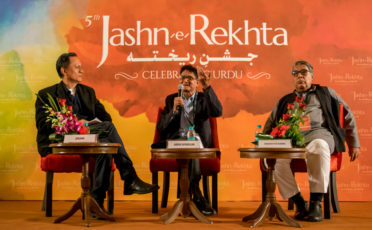 This acclaimed writer received a lot of commendation for his first book, Besieged: Voices from Delhi 1857, published by Penguin. 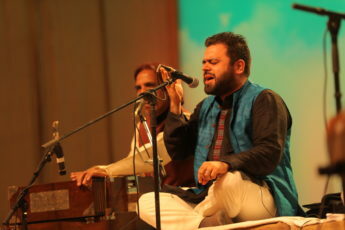 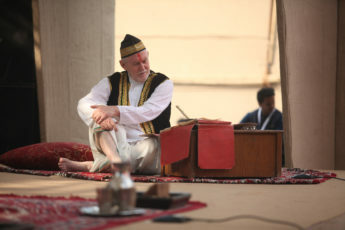 A well-known face in Urdu literary festivals- Darain Shahidi is one of India’s finest Dastangoi artists. 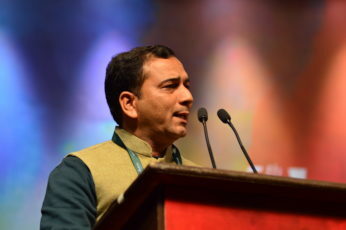 A journalist, political commentator, anchor and storyteller, Shahidi has previously worked for the top media networks in the country including NDTV, Star News, ESPN, and Star Sports. 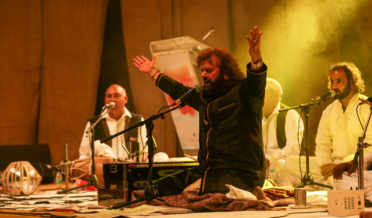 Apart from his successful professional life, he has enthralled audiences with his way of Dastangoi at many literary festivals like the Islamabad Literature festival, The Lucknow Literature festival, and several others. 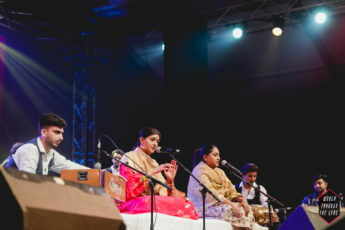 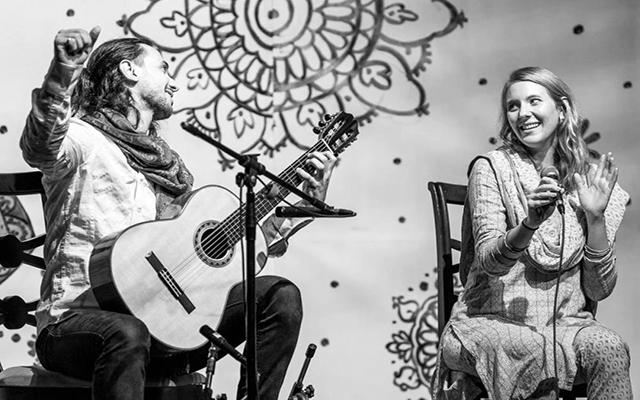 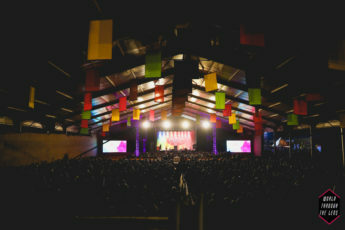 Formed in 2015 by classically trained guitarist Paulo Vinícius from Brazil and UK based vocalist Tanya Wells, Seven Eyes compose songs that bring together their diverse musical influences (which include Folk, Jazz, Brazilian, Hindustani classical music) with an aim to explore a confluence of cultures and languages. 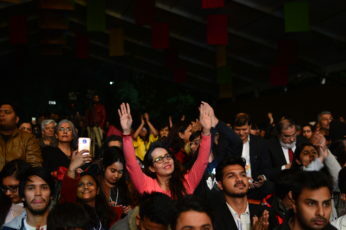 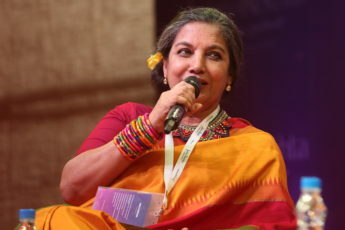 Five times National Award winner and Padma Bhushan Awardee- Shabana Azmi is among the finest actresses of Indian cinema, also known for her engagement in social work centering around women’s rights. Internationally, she’s been bestowed awards like Taormina Arte Festival (Italy), Chicago International Film Festival and L.A. Outfest. Javed Akhtar needs little, if any, introduction, an eminent scriptwriter, lyricist, and poet with a rich literary lineage. He was awarded the Padma Bhushan in 2007 and Sahitya Akademi Award in Urdu in 2013 and has been a regular performer in all the editions of Jashn-e-Rekhta. 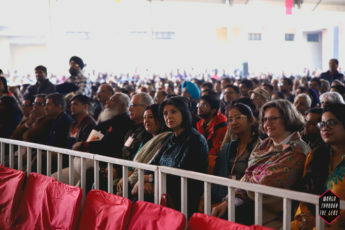 *Right of admission reserved. 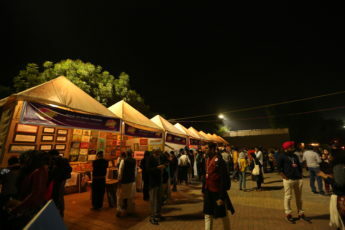  No arms, sharp objects, liquids (other than water) , perfumes are allowed inside the venue.